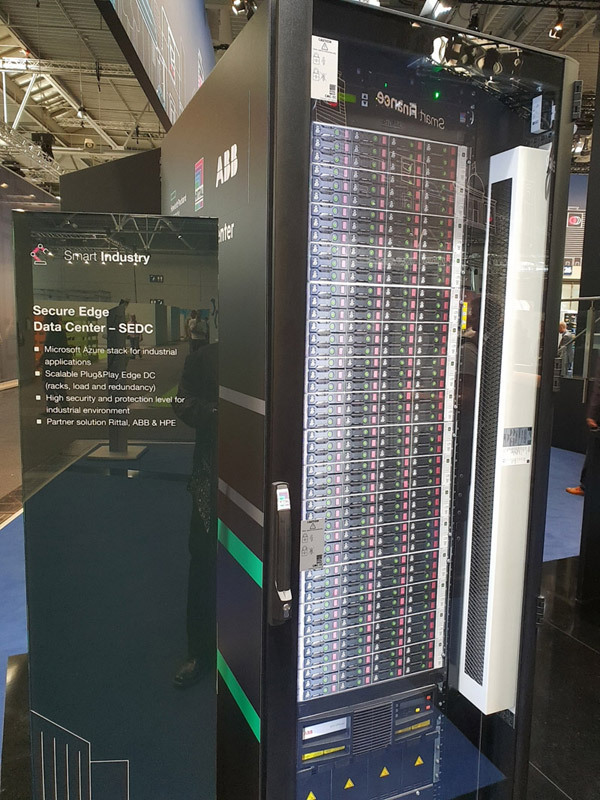 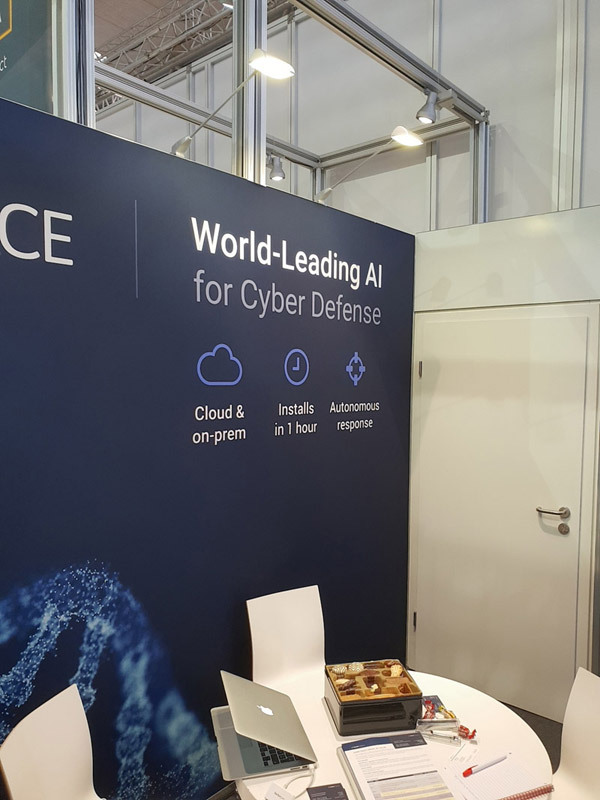 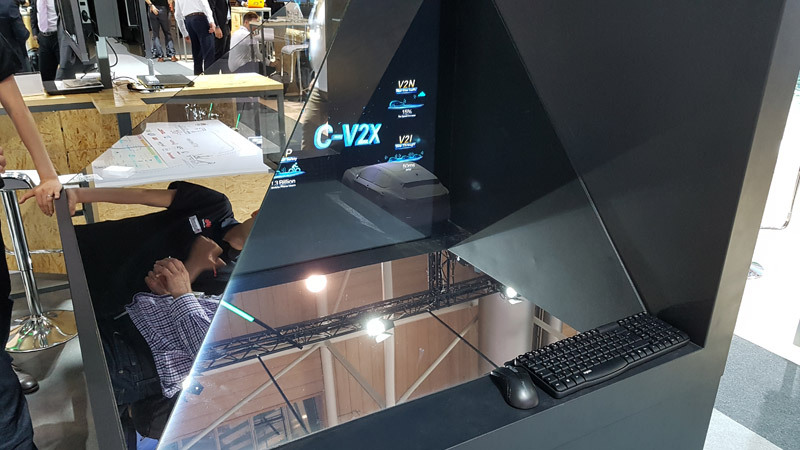 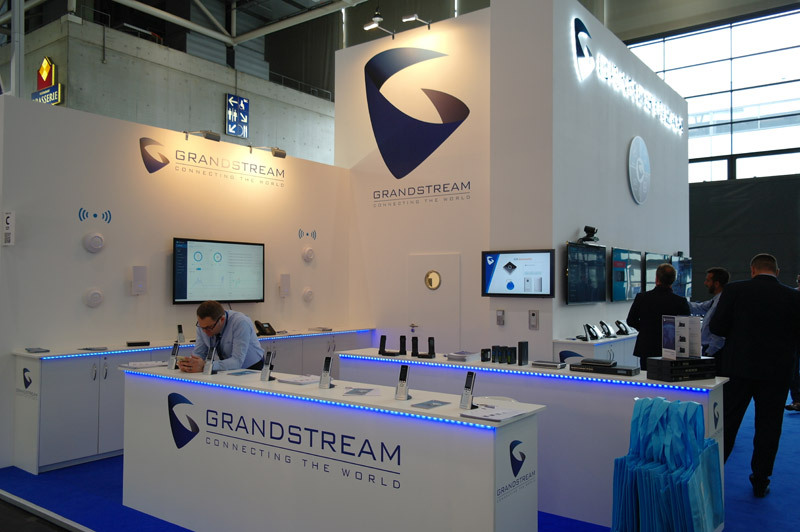 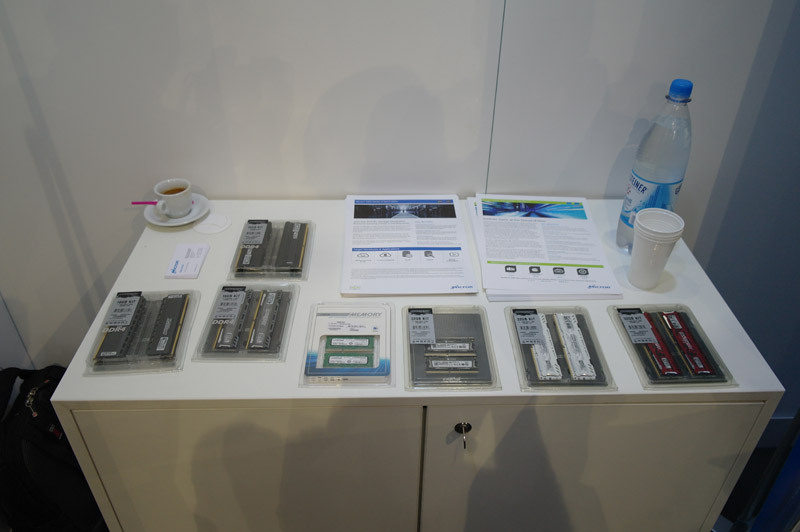 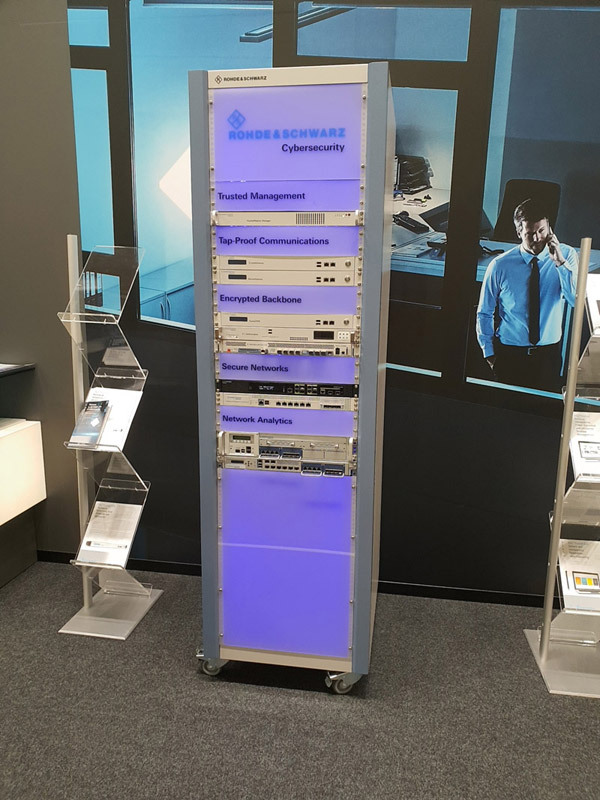 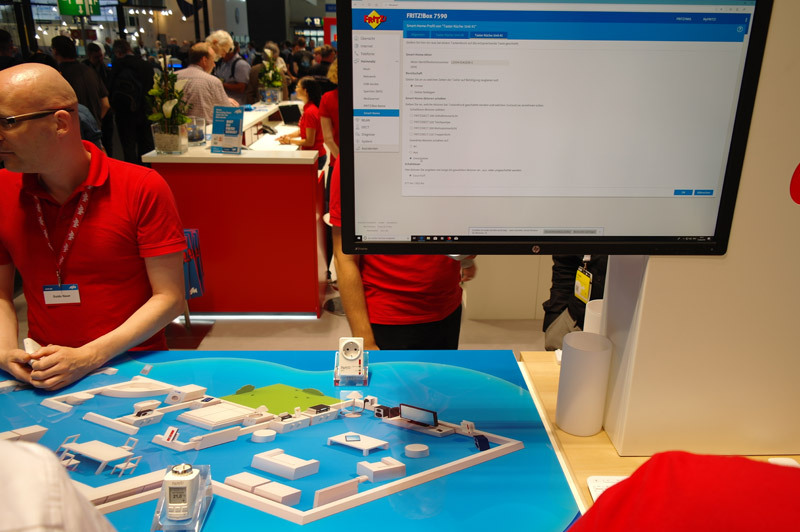 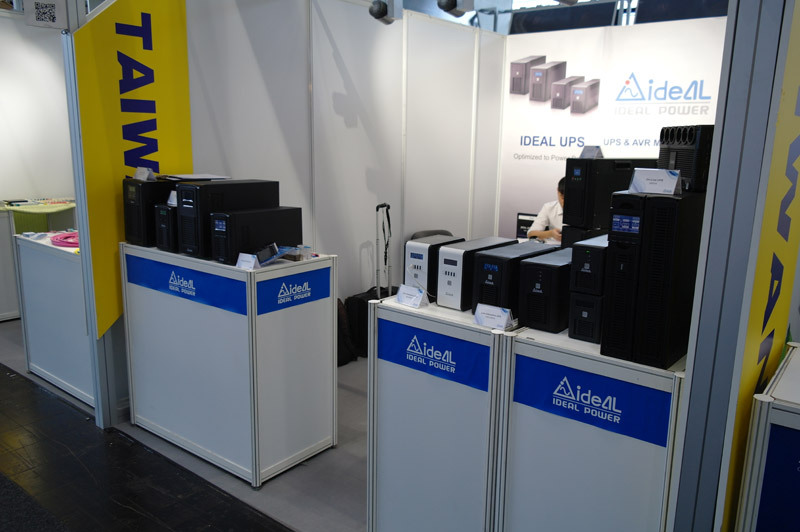 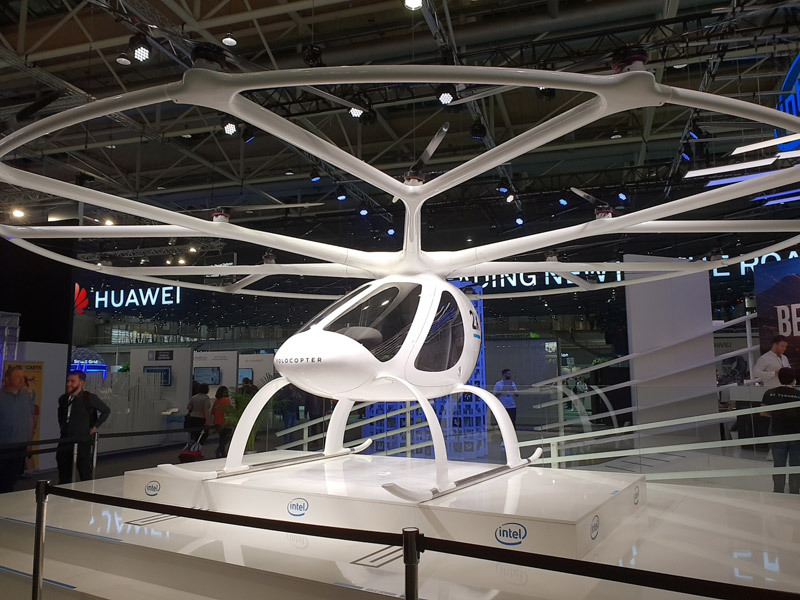 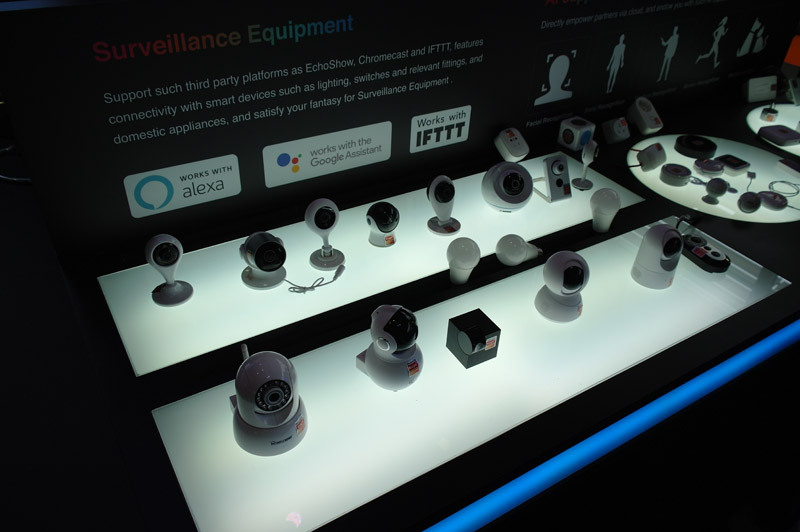 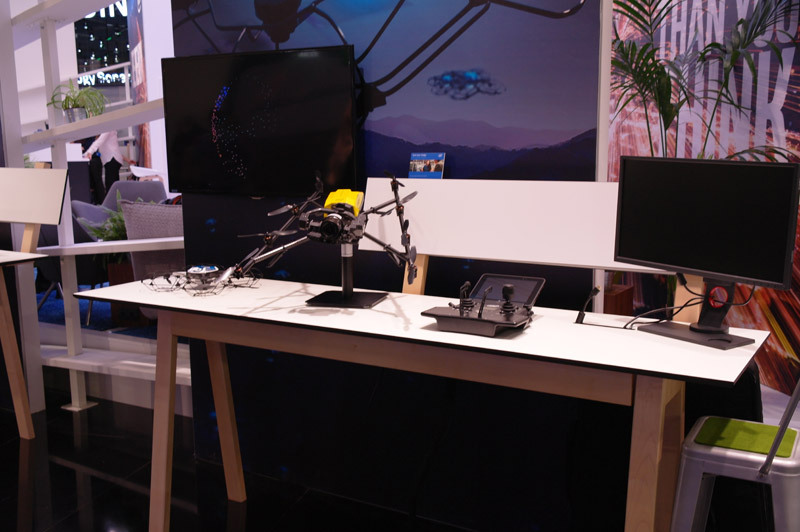 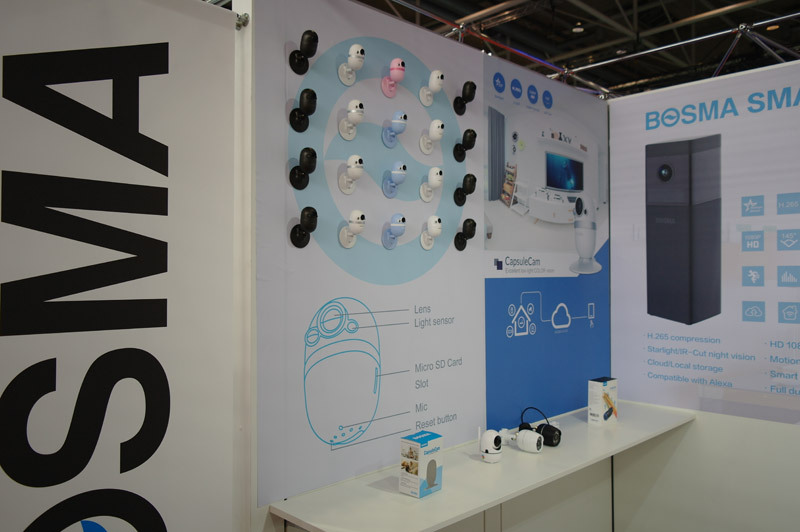 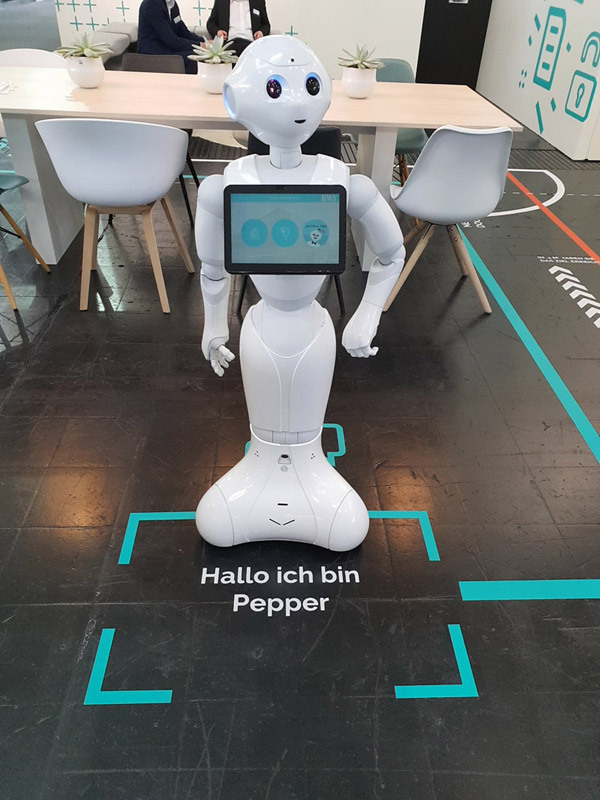 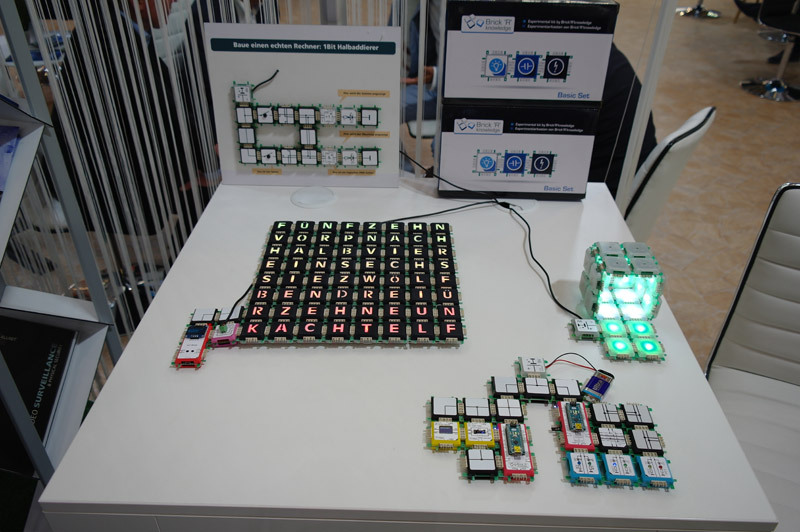 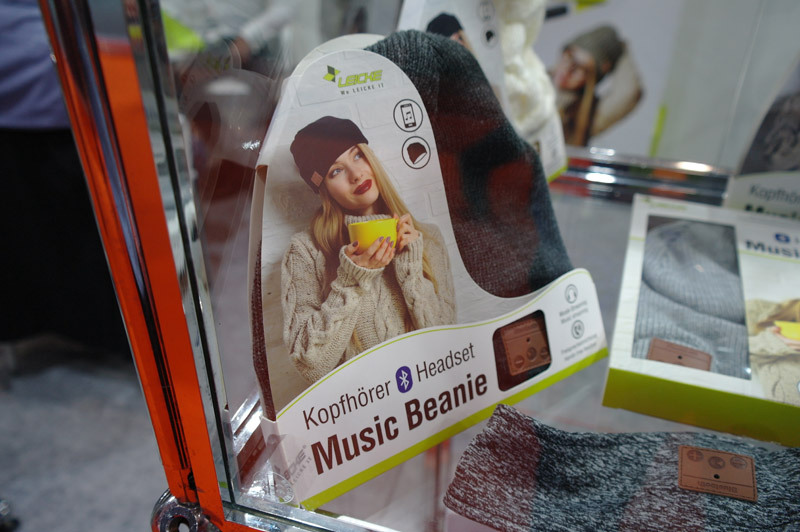 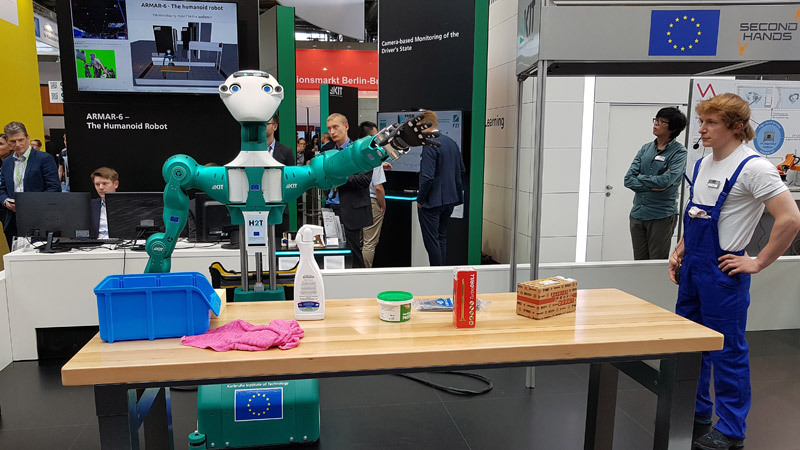 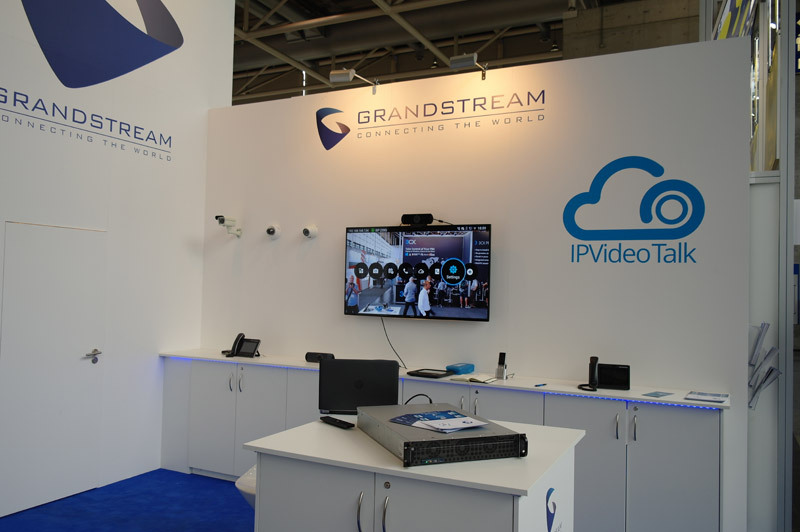 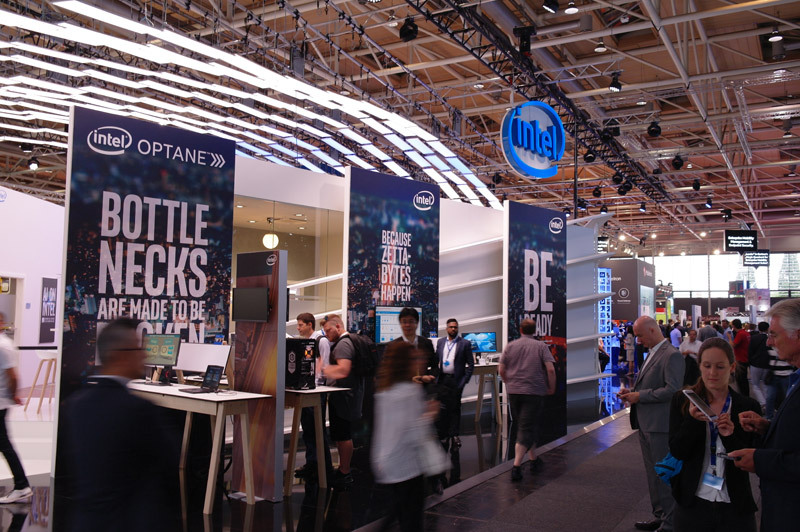 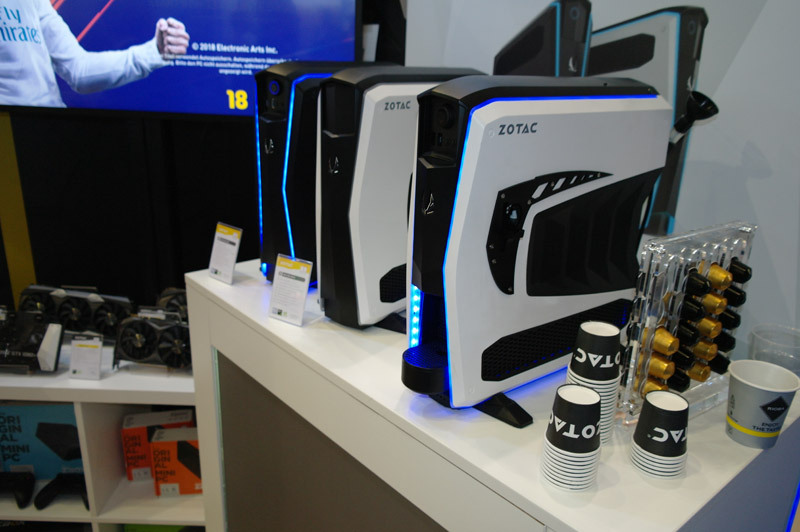 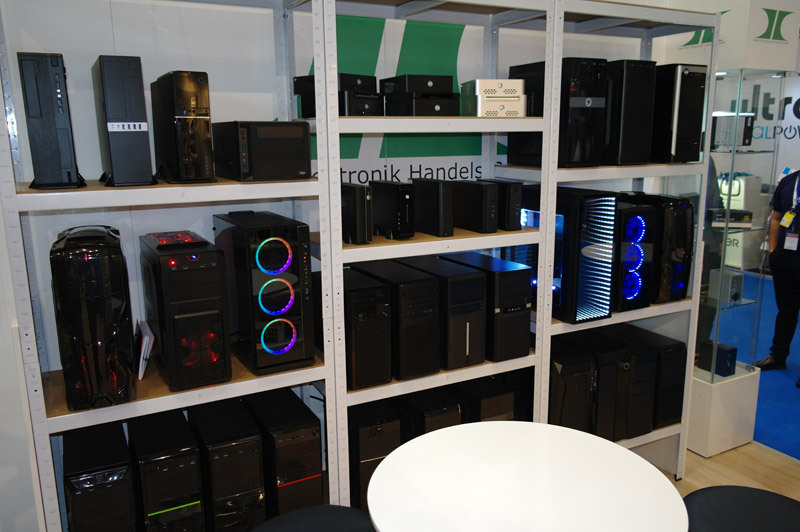 At the CeBIT 2018 computer fair in Hannover, Germany, there were a lot of interesting products presented again this year. 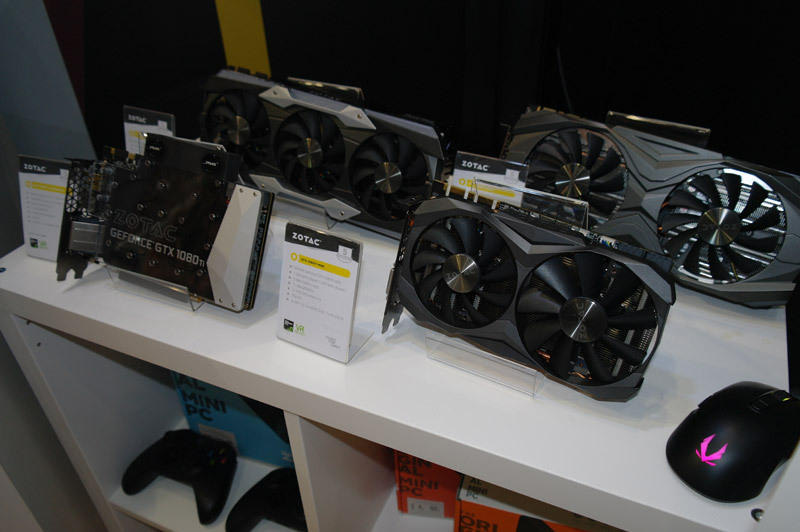 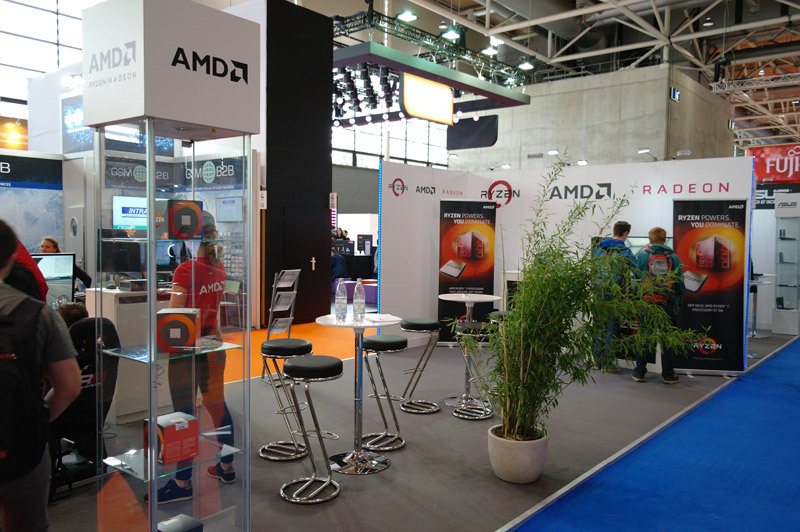 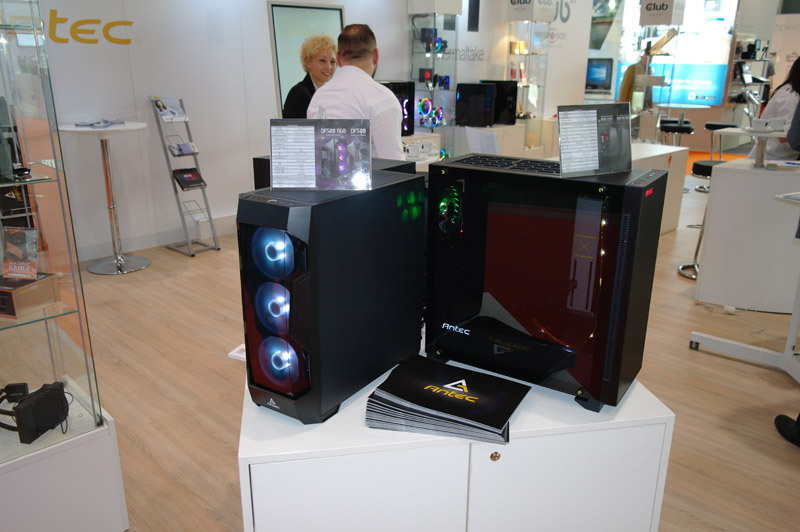 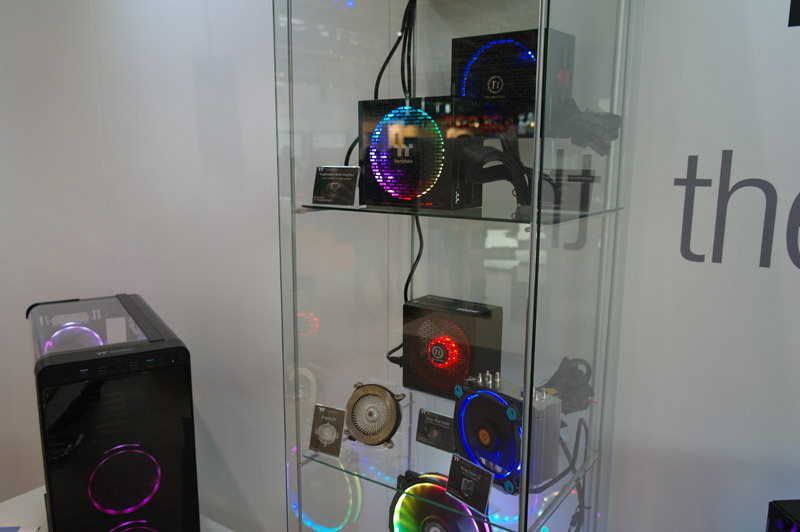 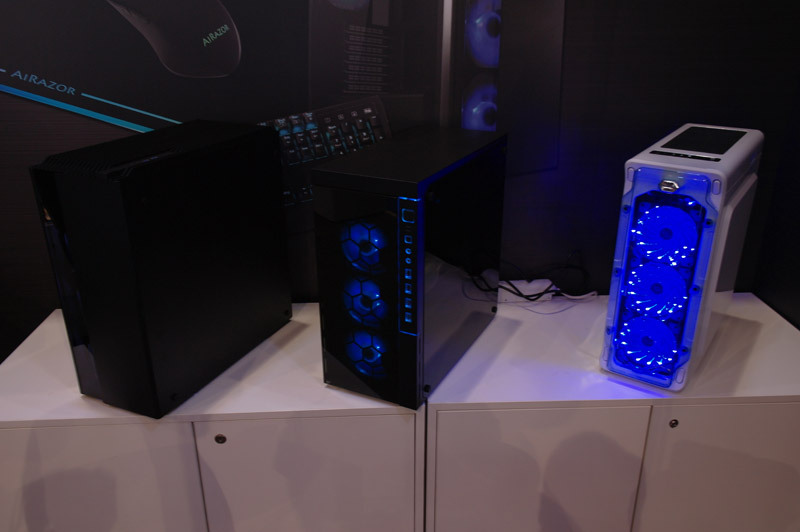 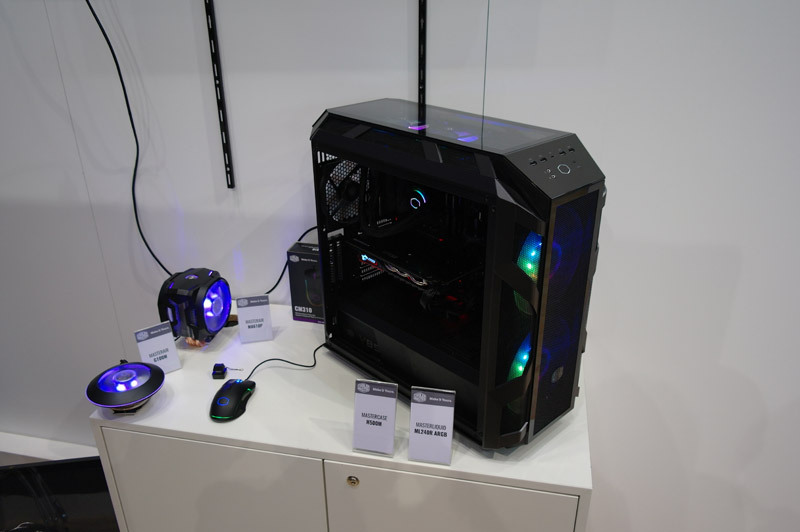 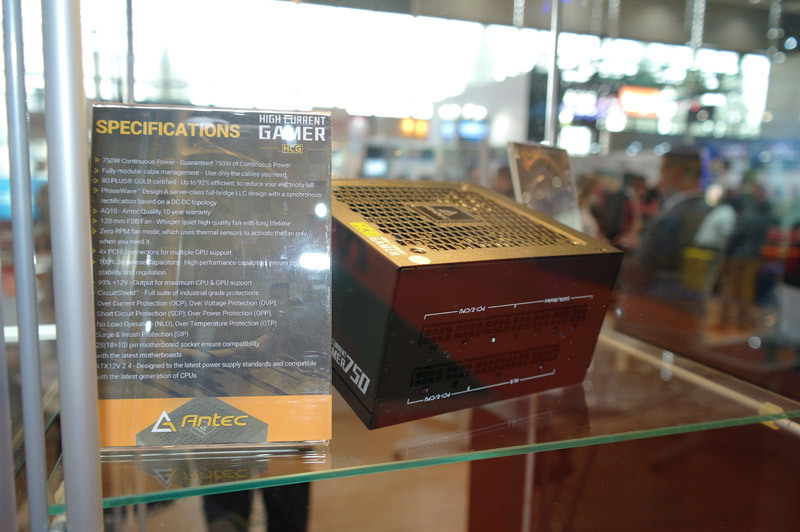 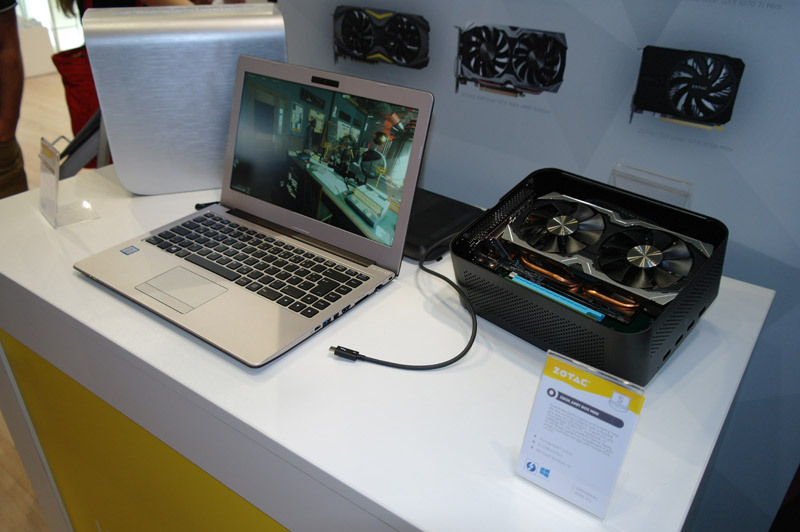 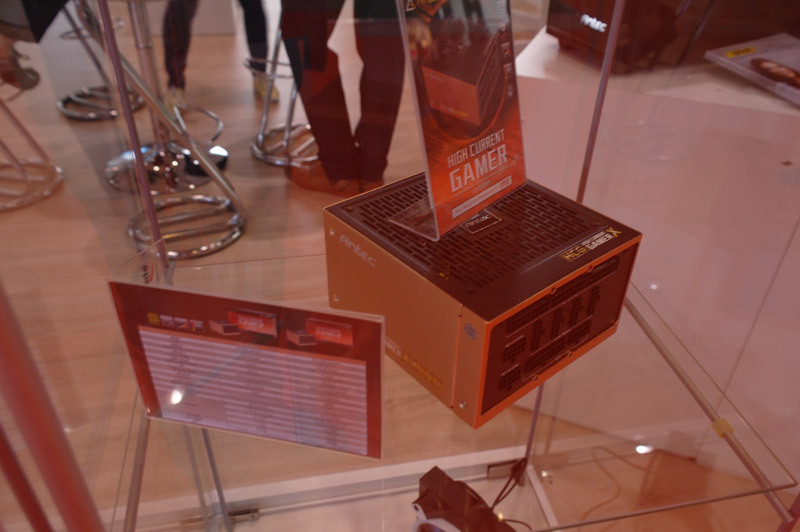 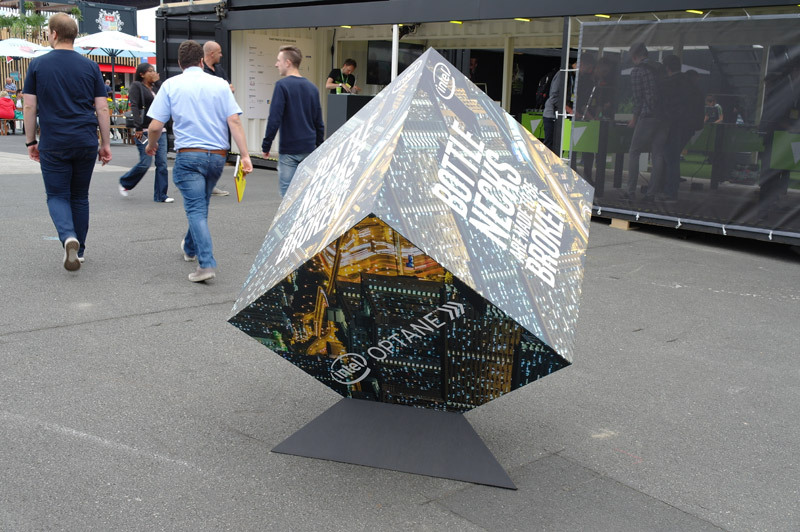 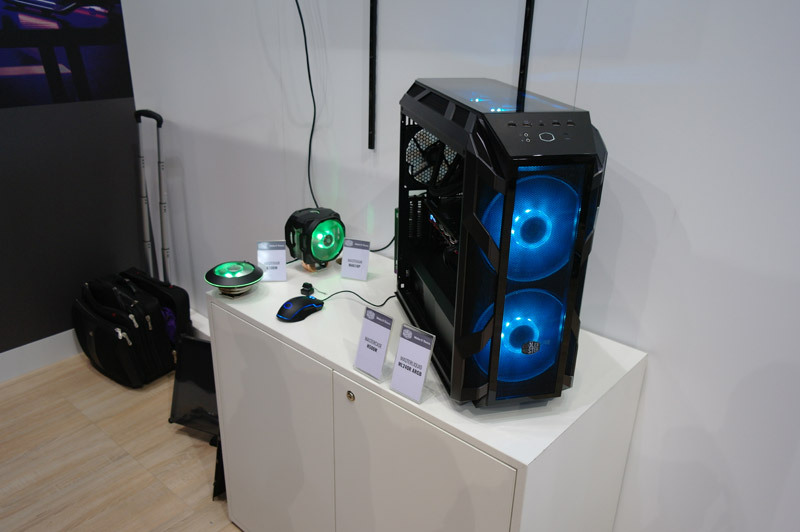 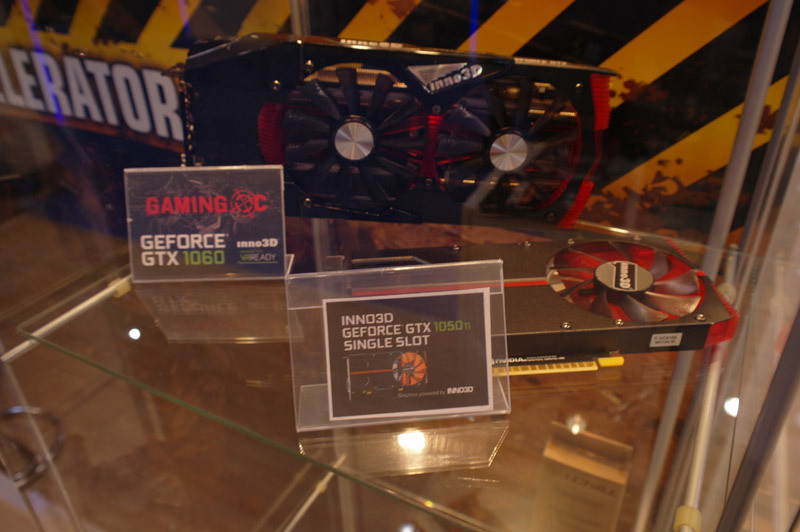 The OCinside.de CeBIT 2018 picture gallery shows on 180 pictures some impressions of the new CeBIT and an overview of the newest IT products of AMD, Antec, Asus, Bosma, Cherry, Cooler Master, Crucial, CyberPower, Grandstream, Heiman, Ideal Power, Intel, Inter-Tech, Inno3D, Kodak, LCPower, Leicke, Samsung, Starcam, Thermaltake, Toshiba, Tuya, Zotac and many other companies. 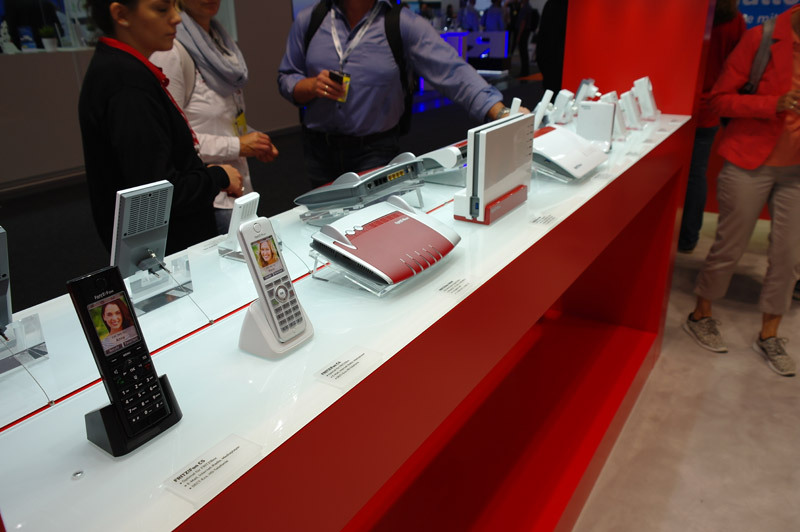 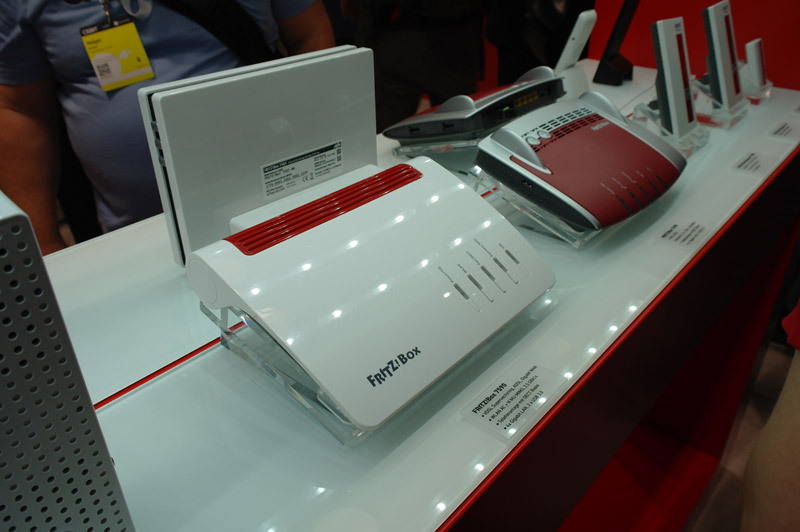 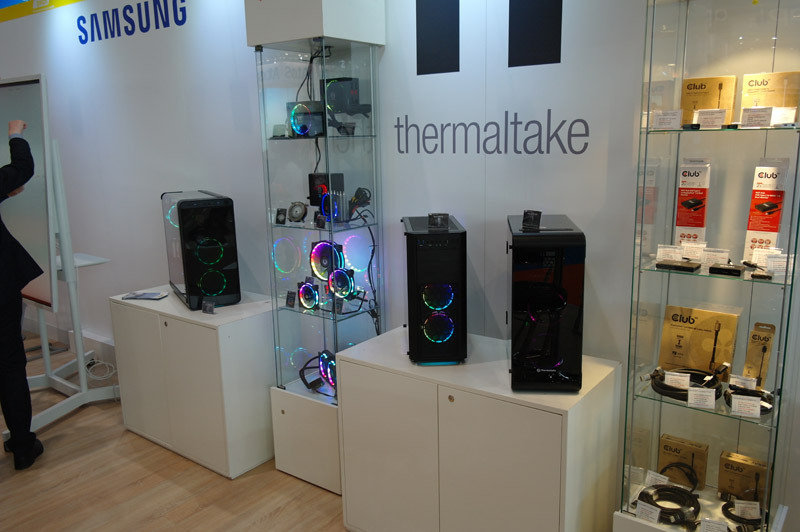 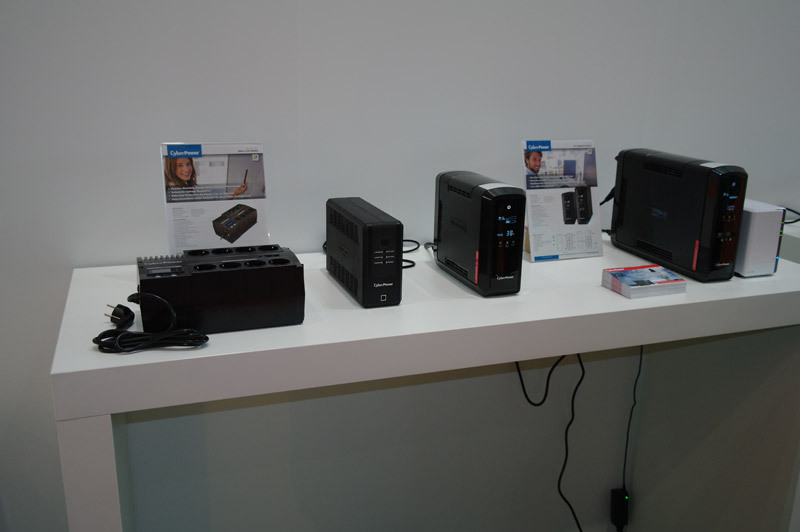 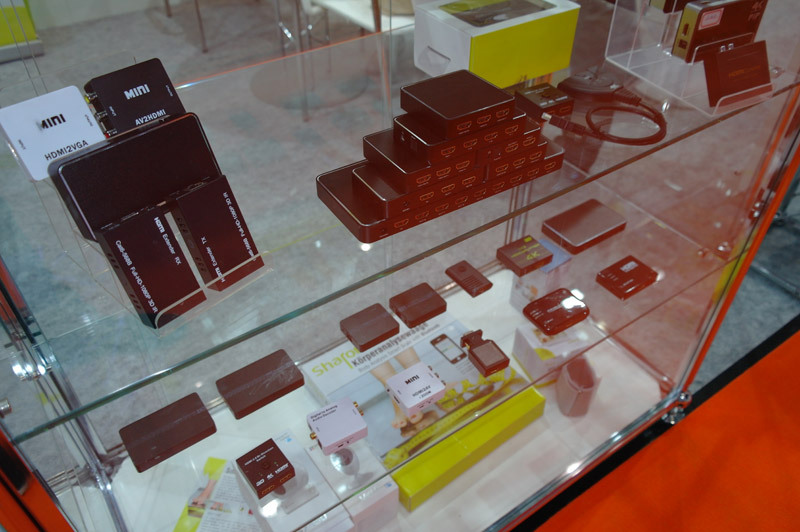 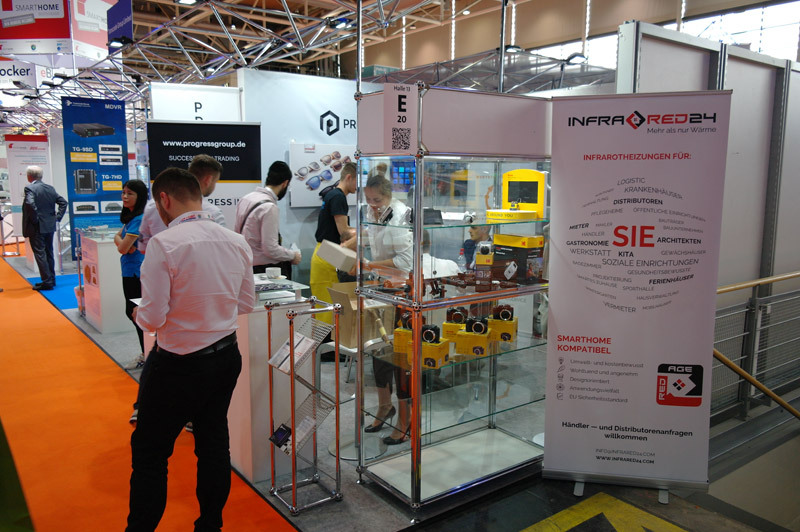 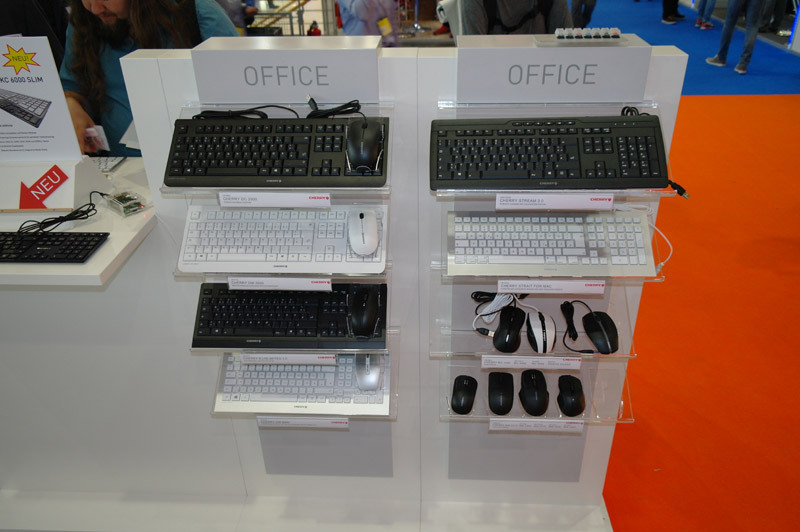 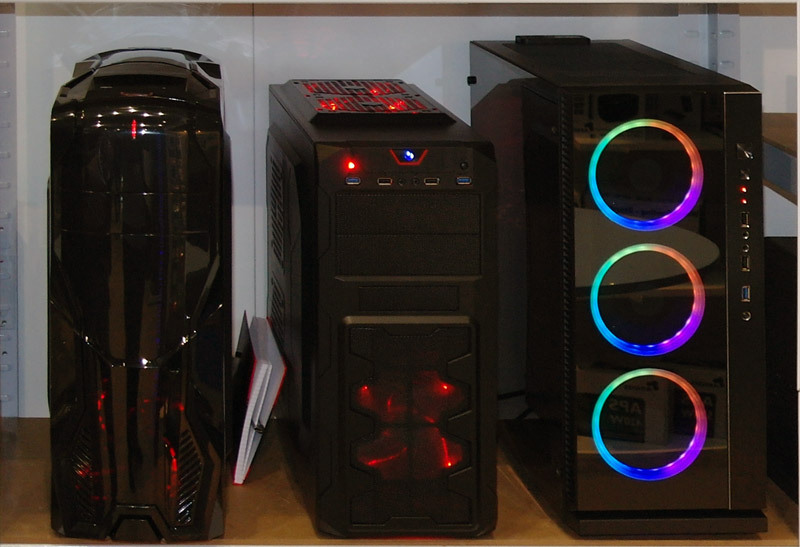 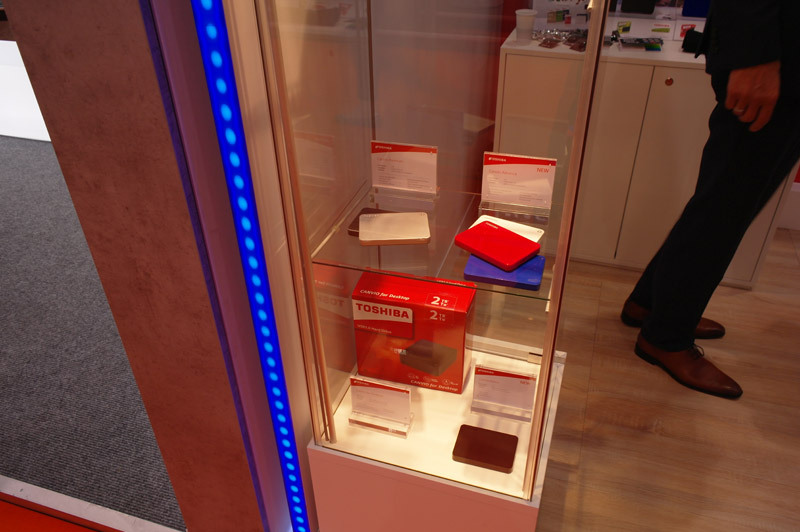 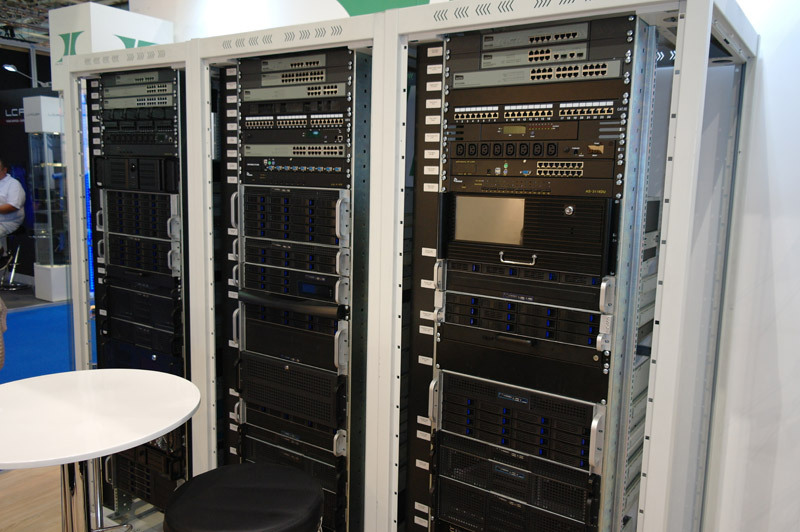 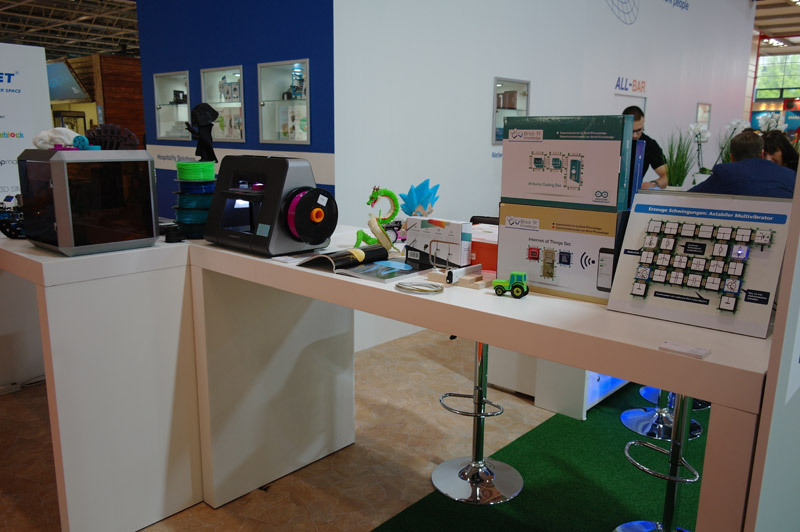 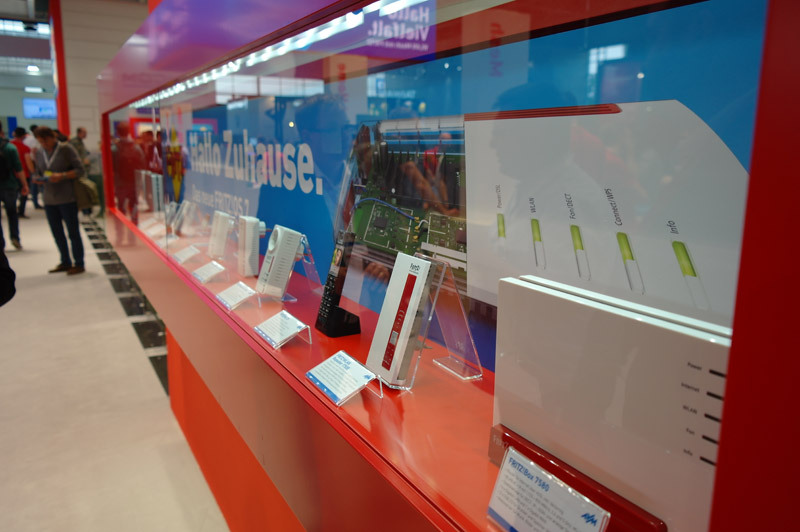 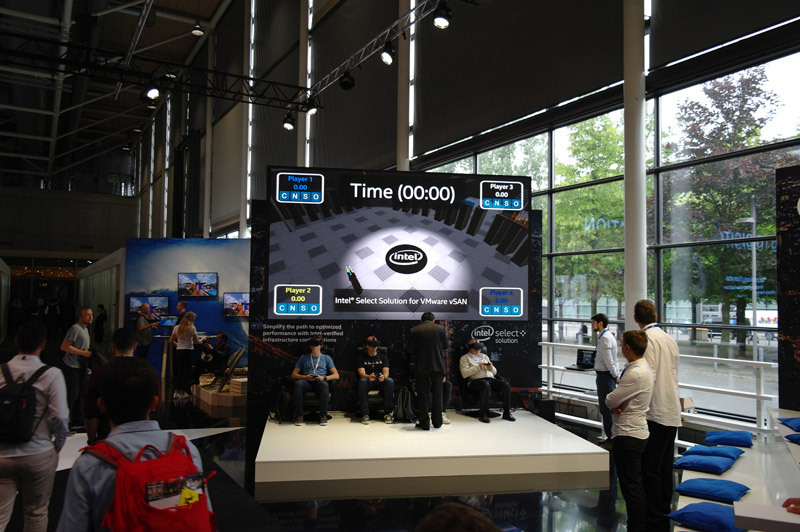 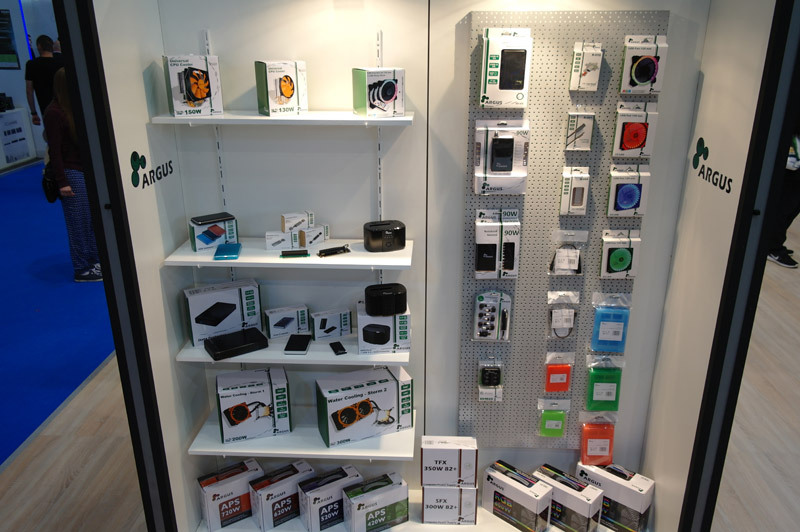 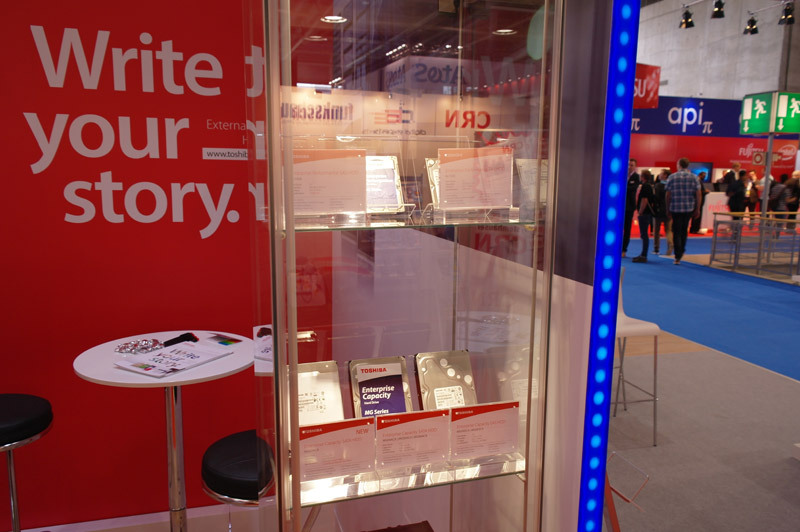 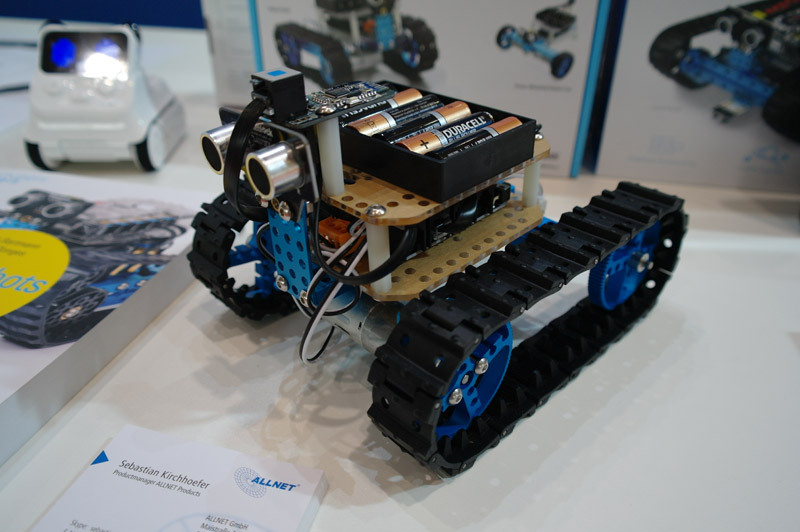 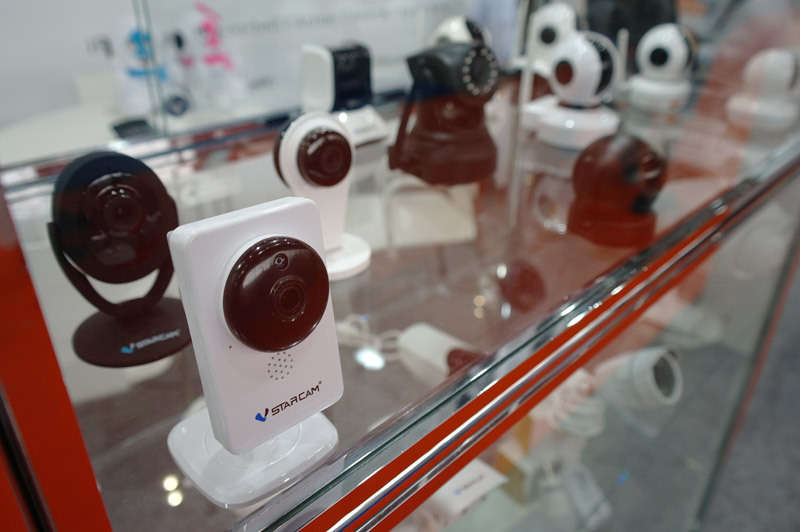 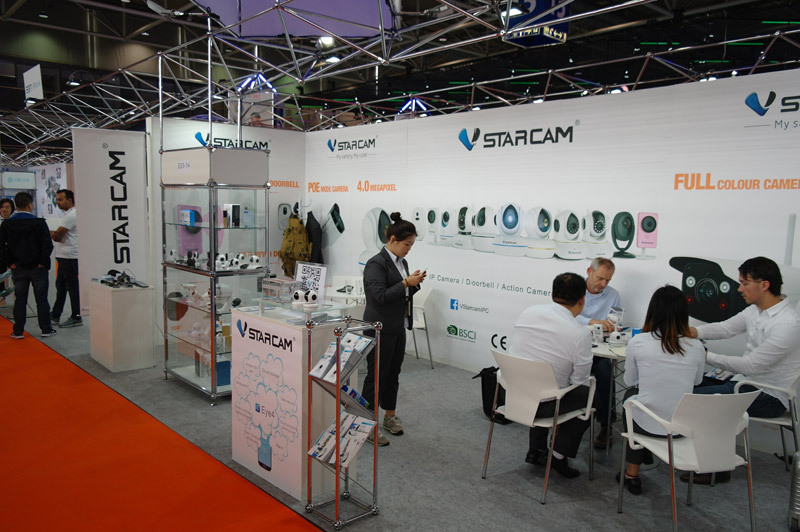 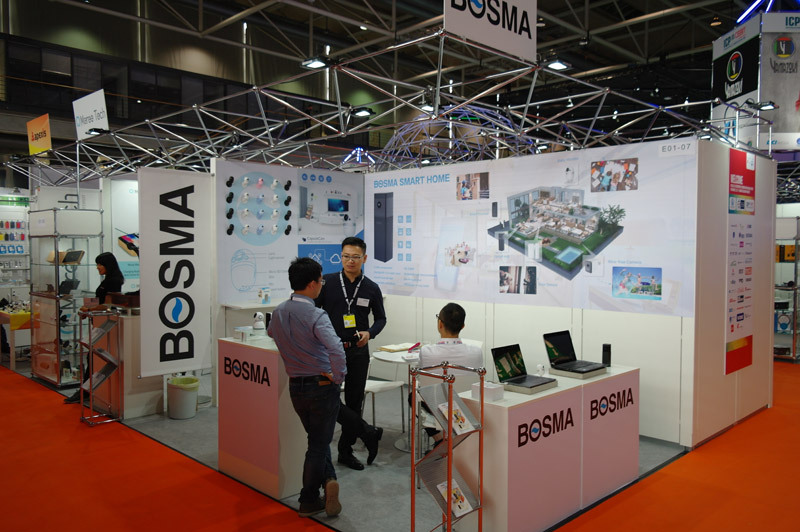 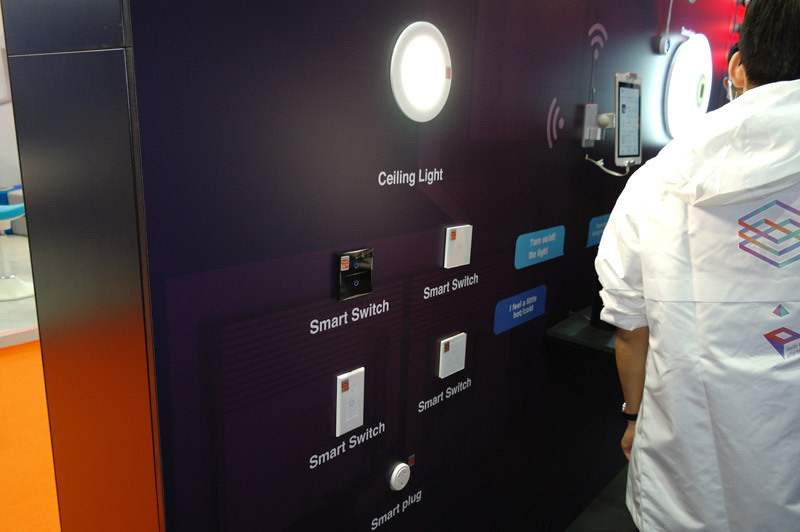 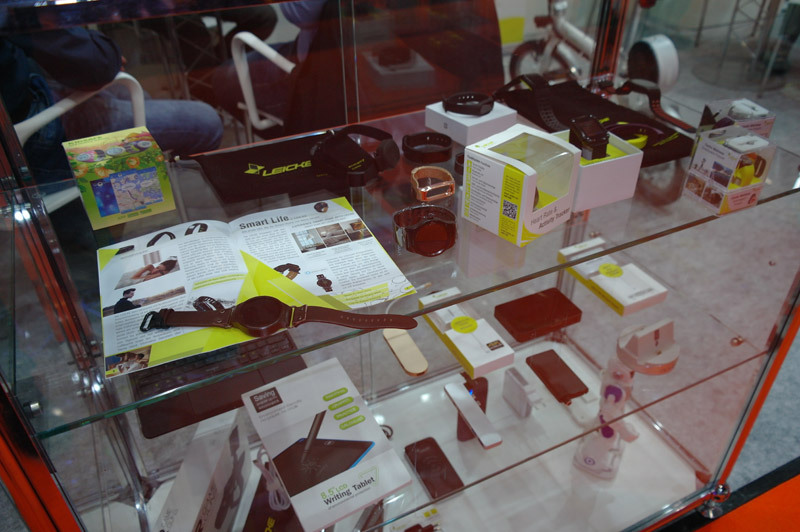 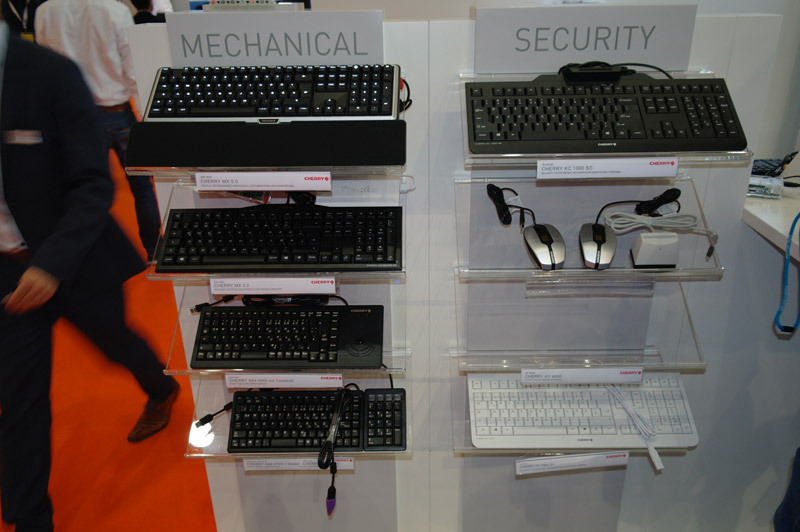 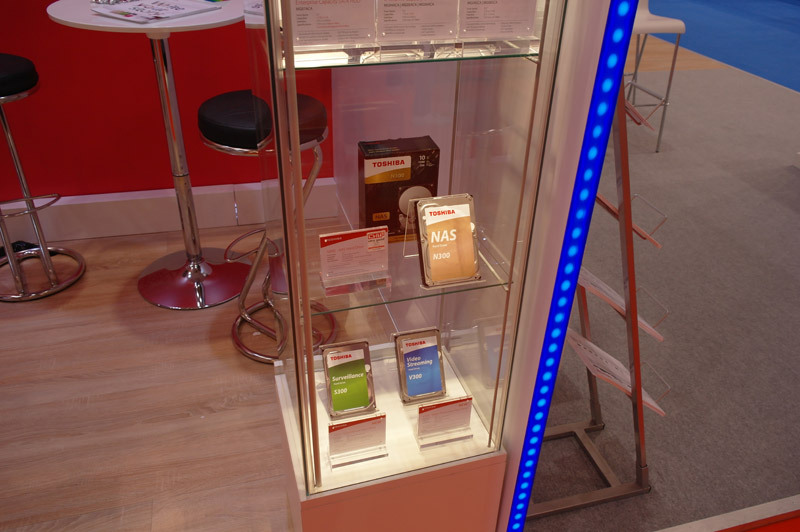 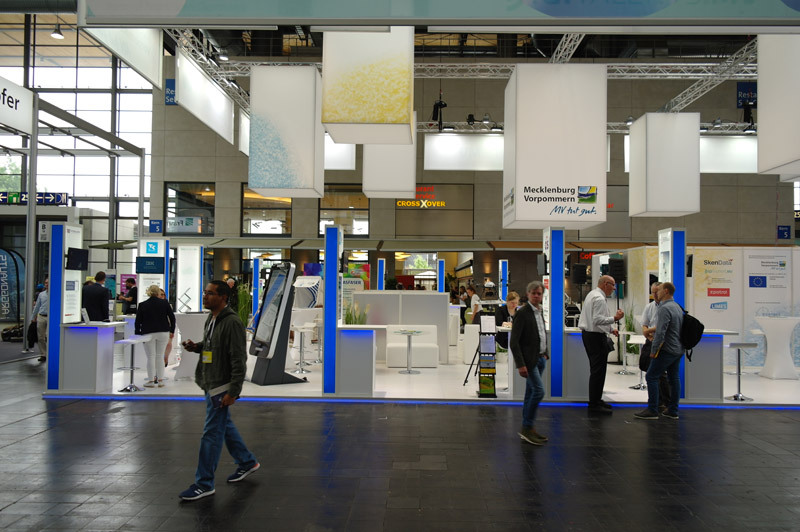 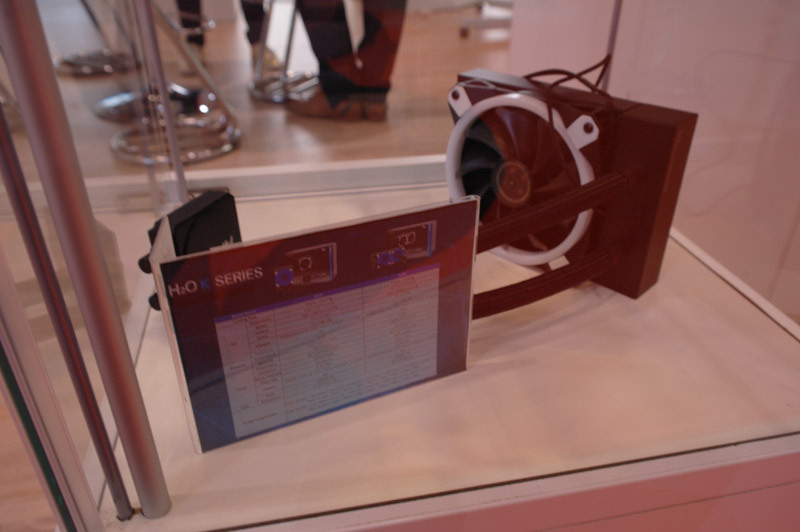 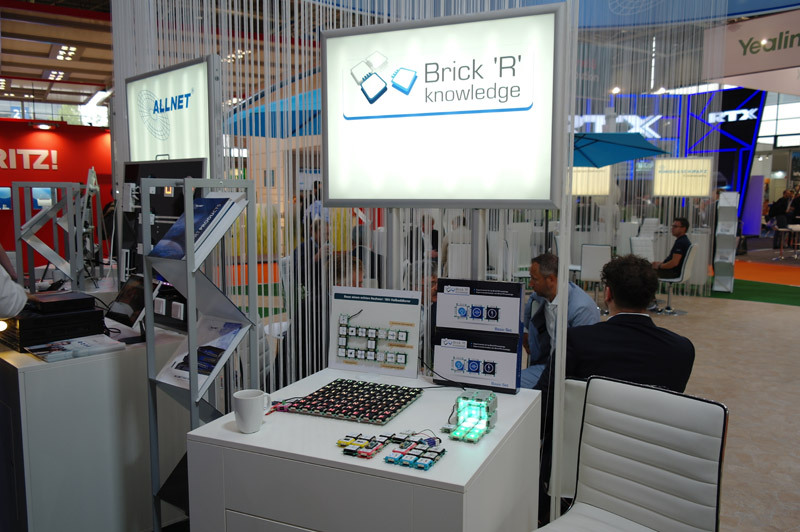 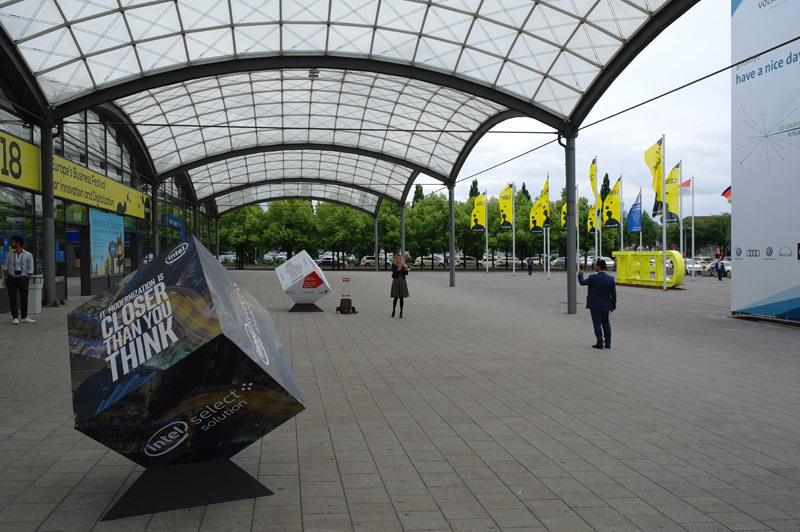 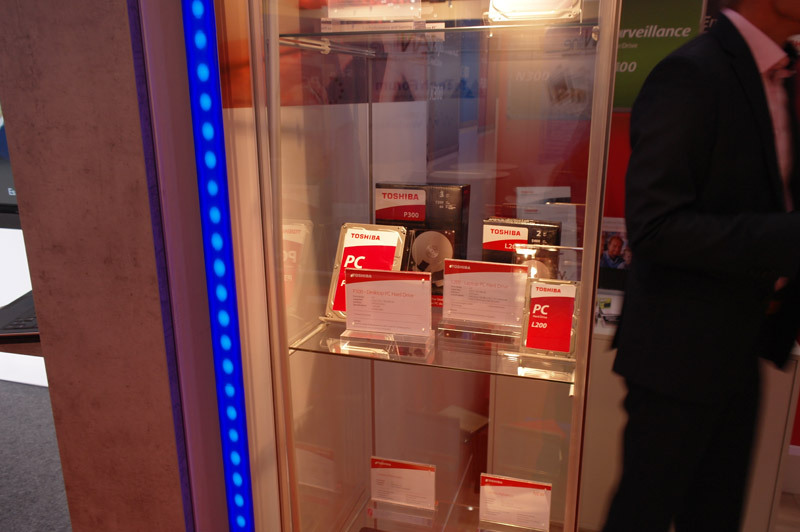 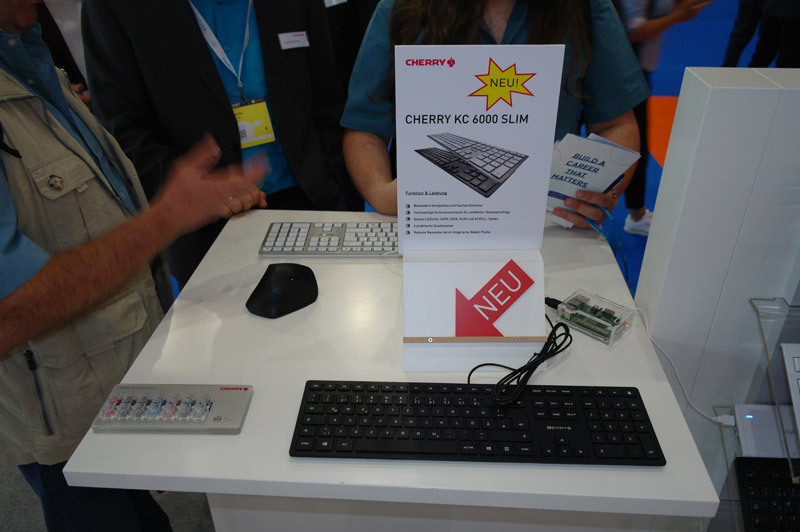 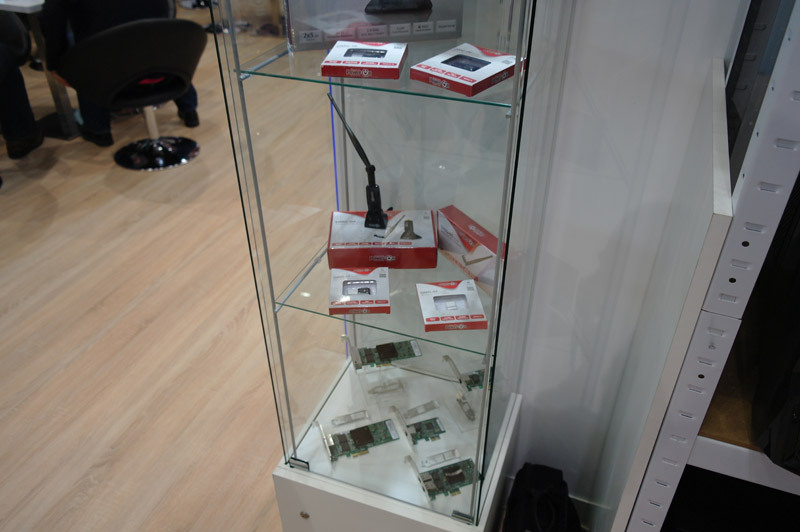 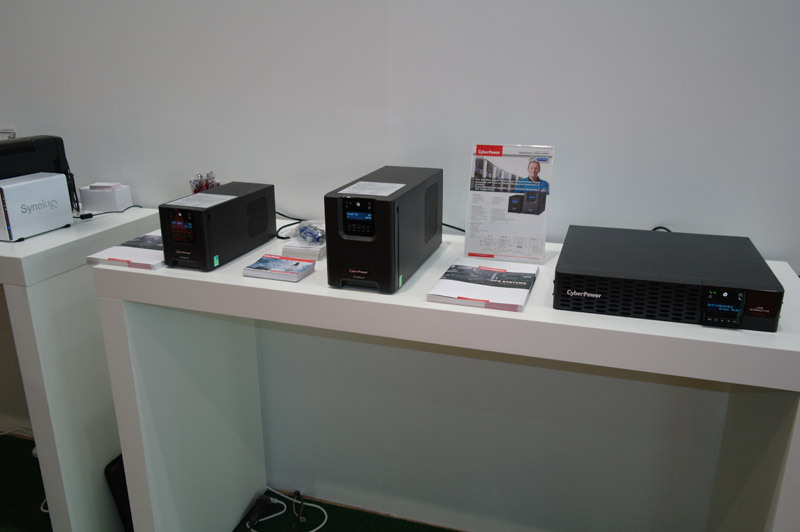 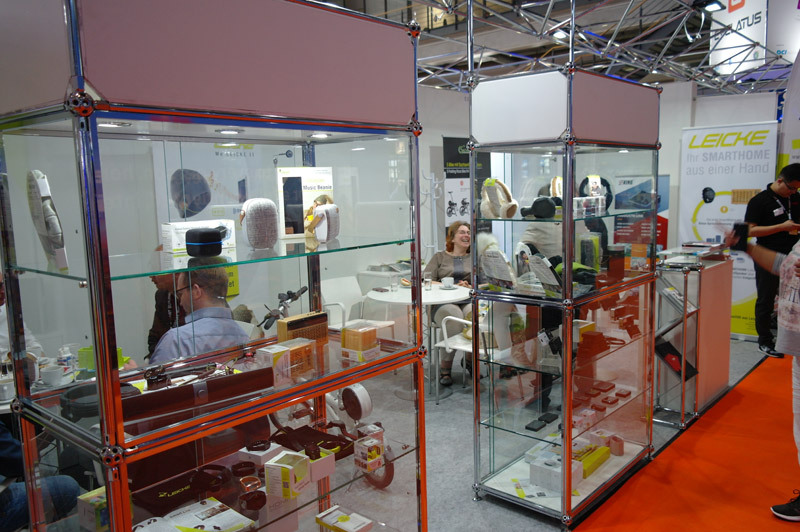 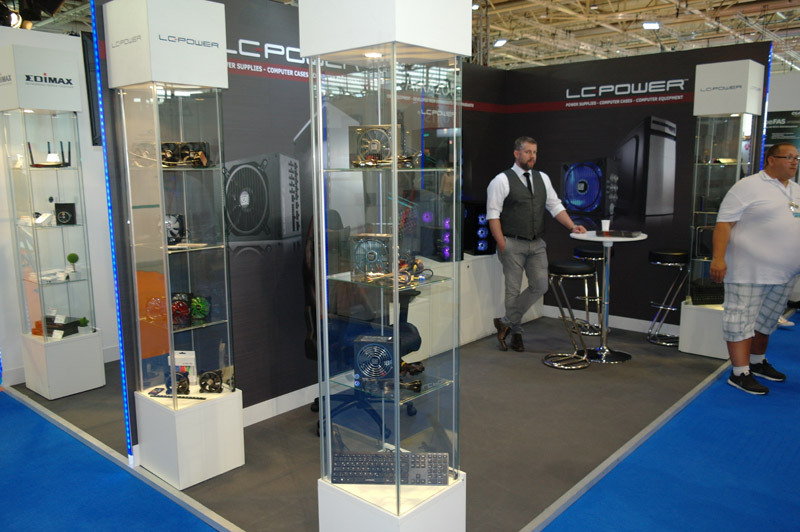 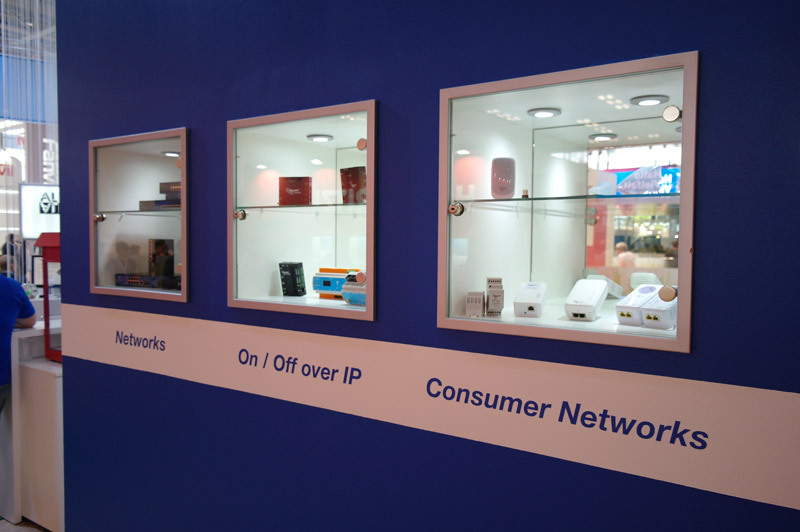 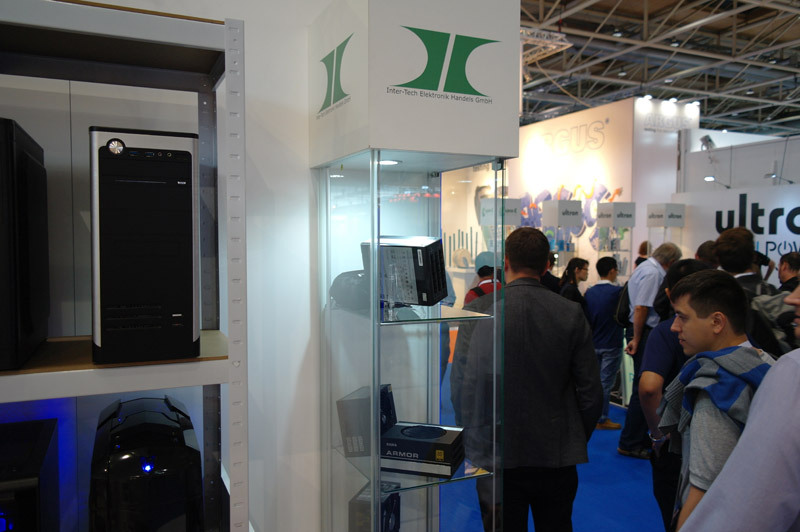 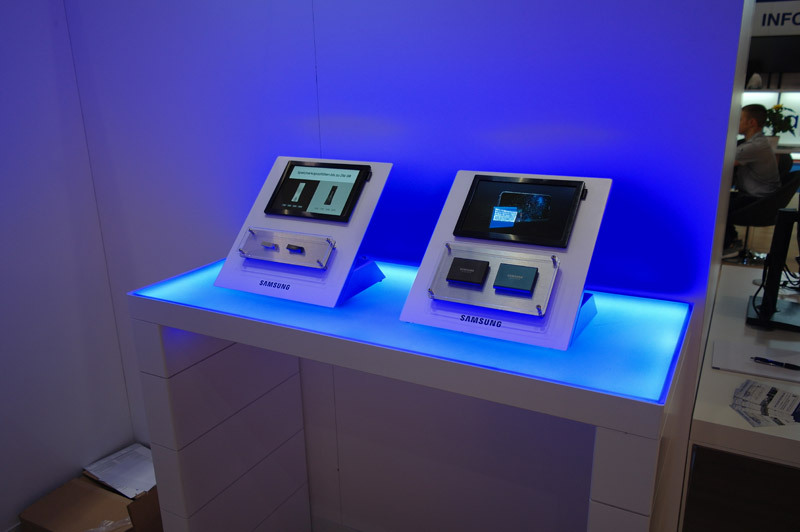 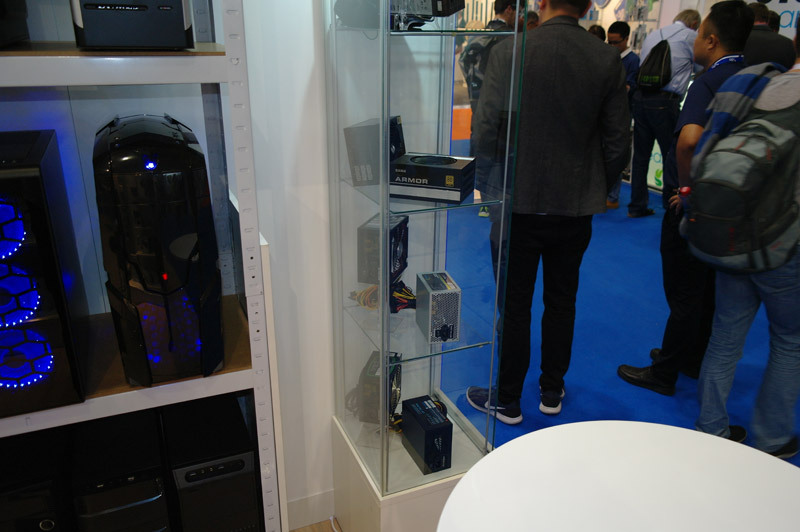 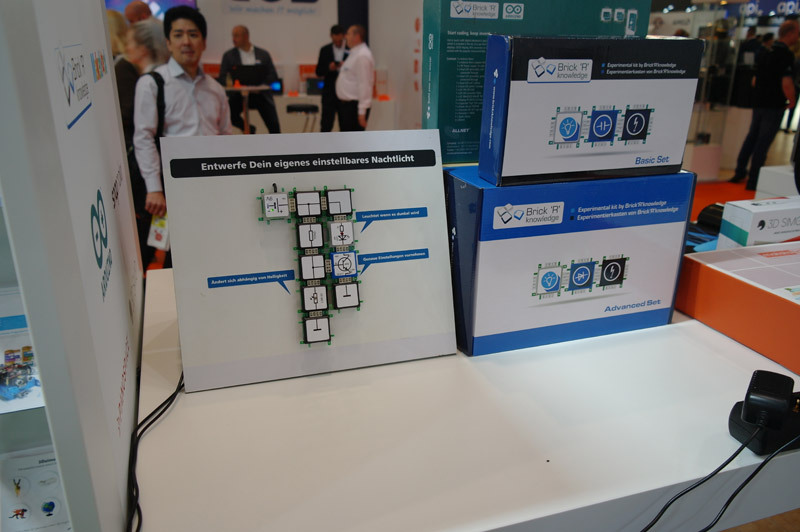 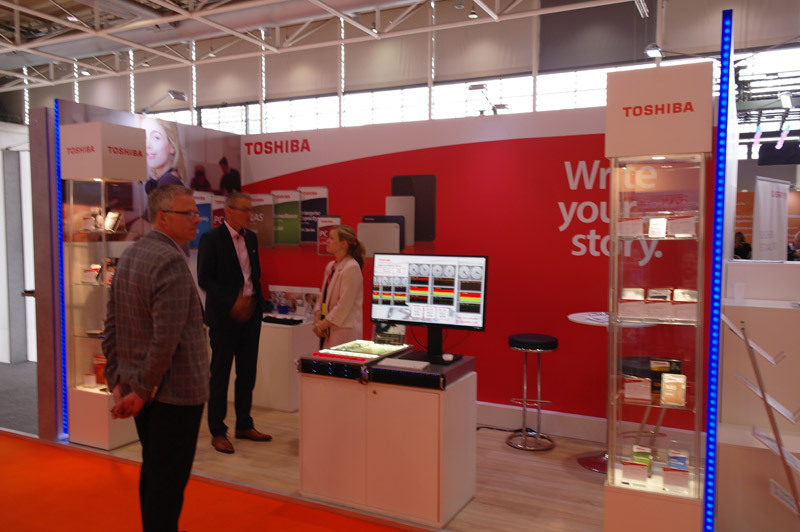 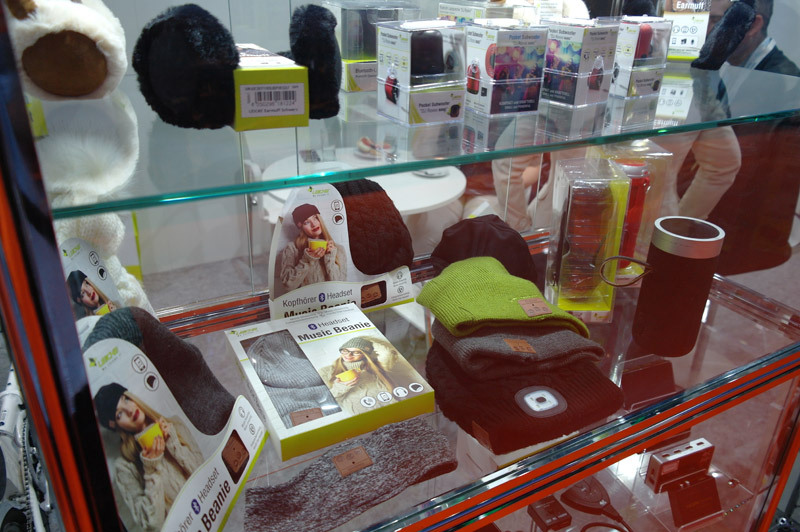 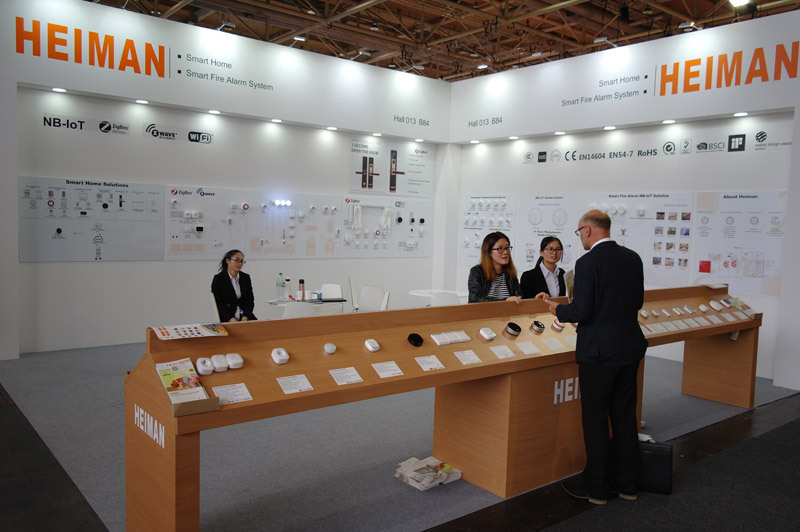 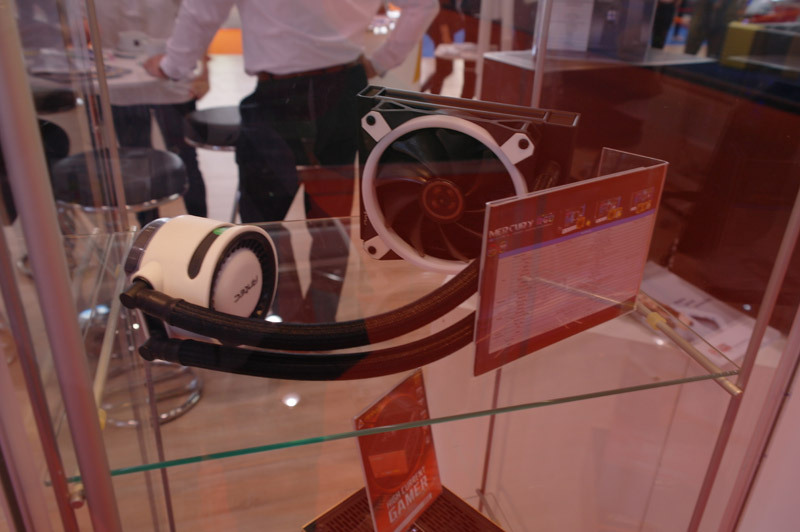 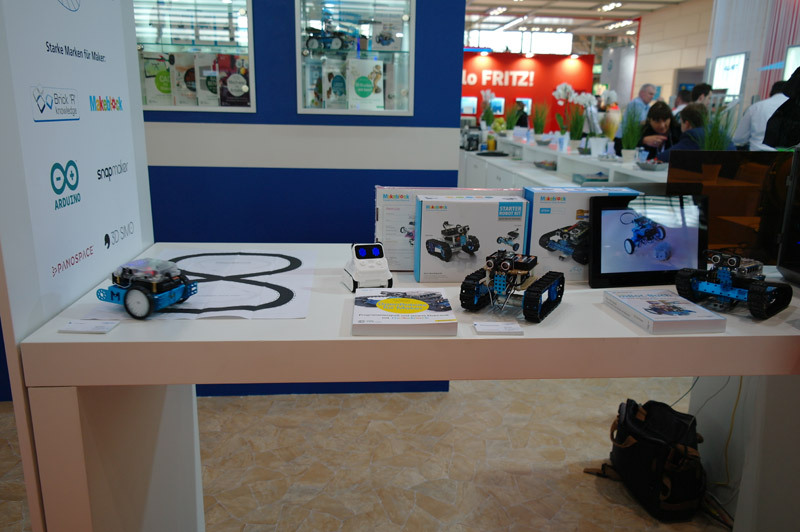 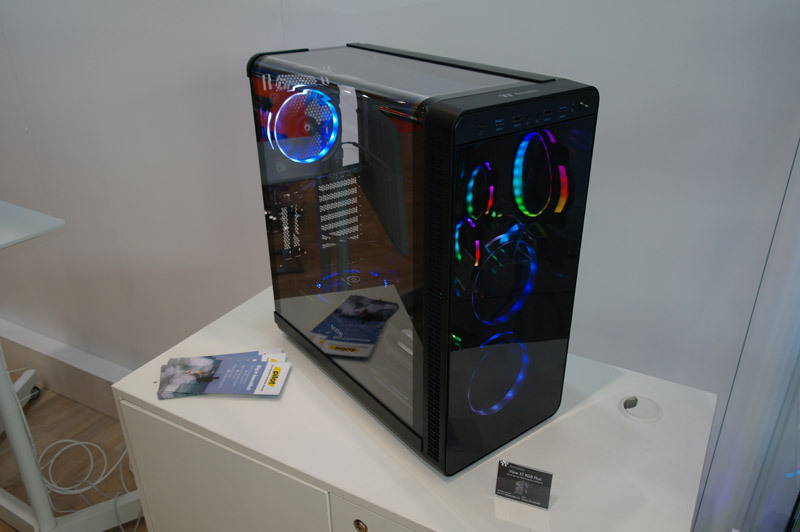 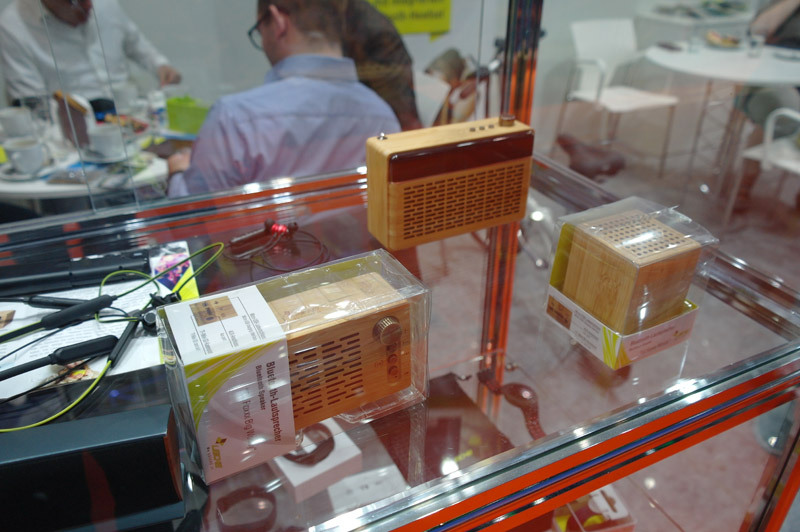 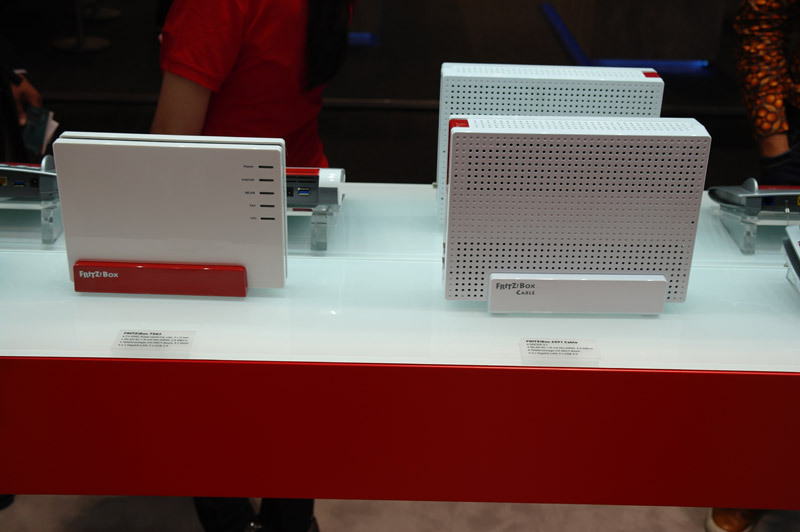 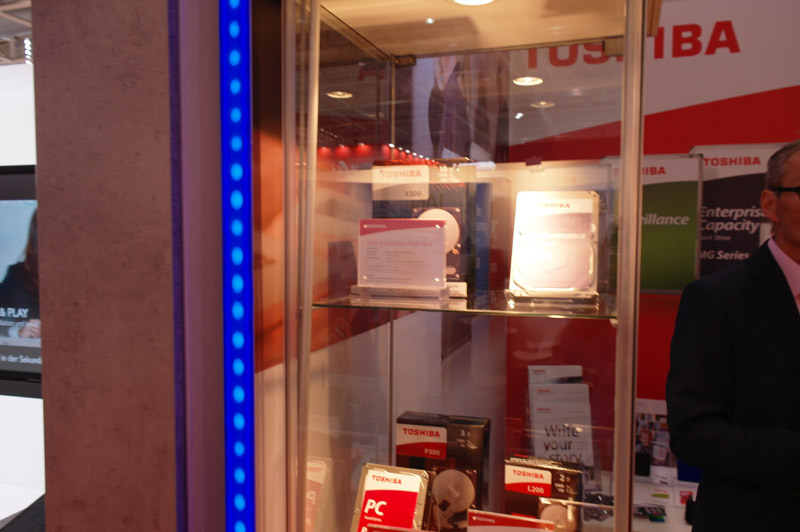 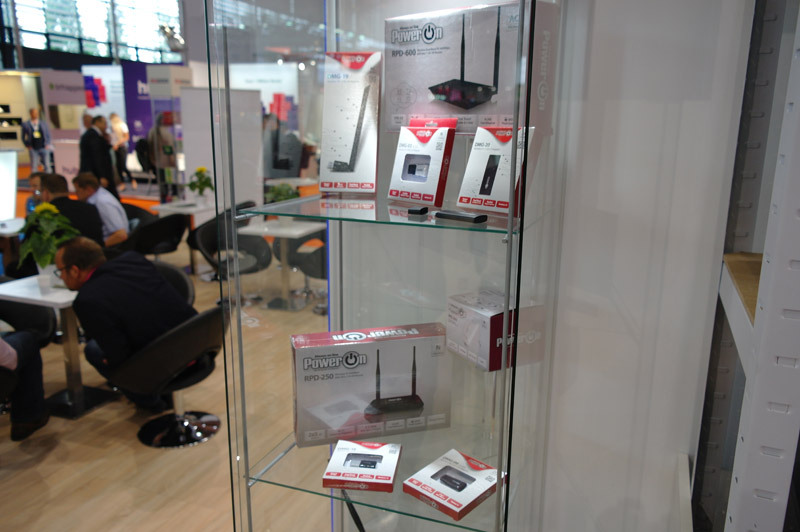 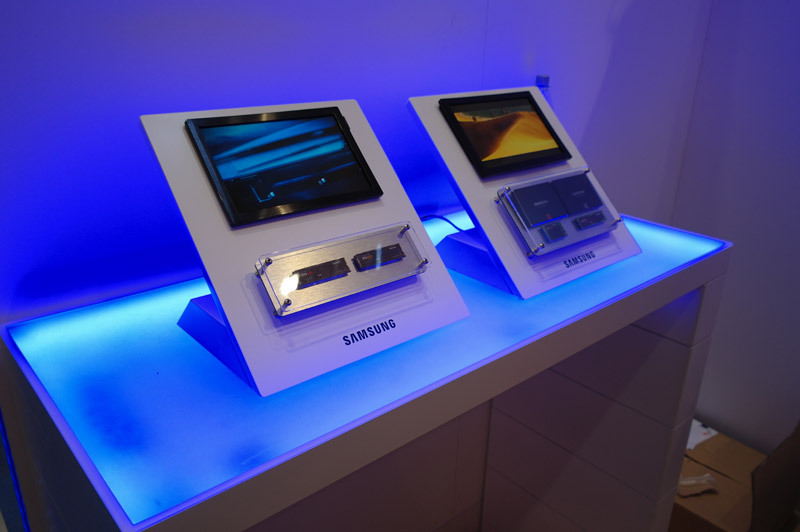 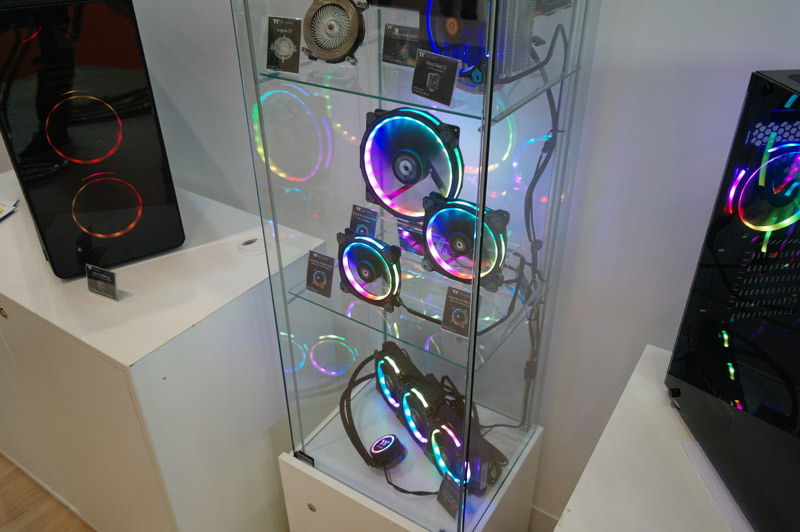 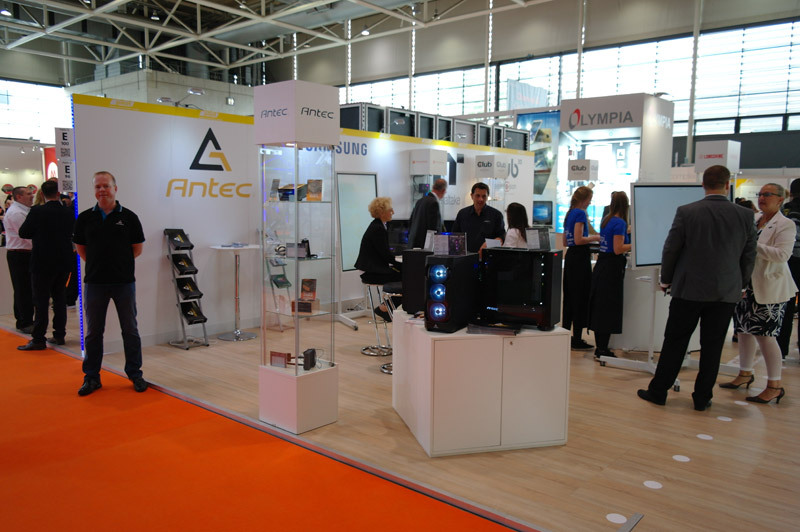 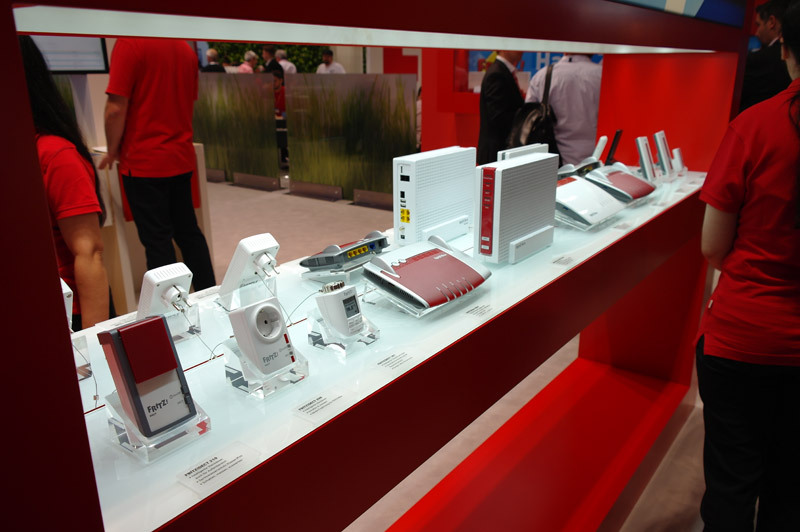 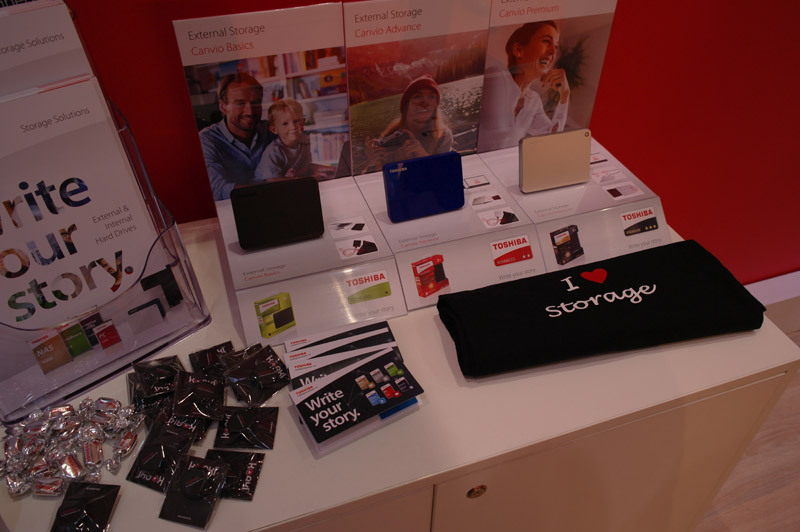 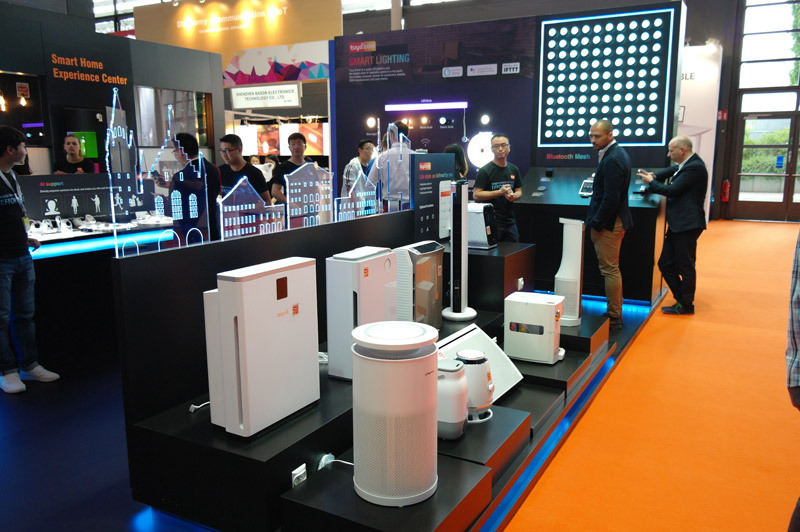 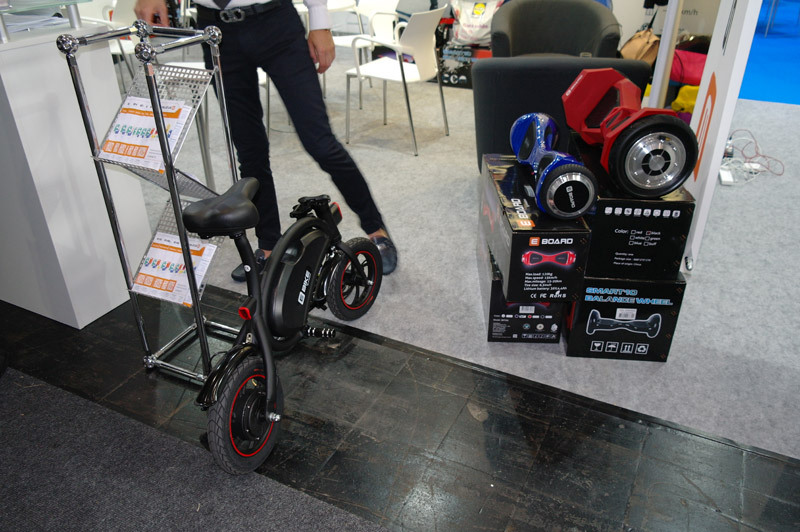 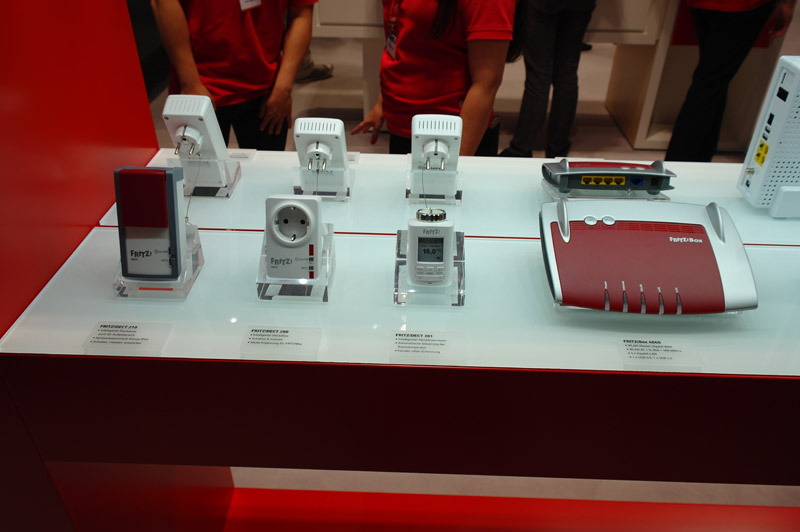 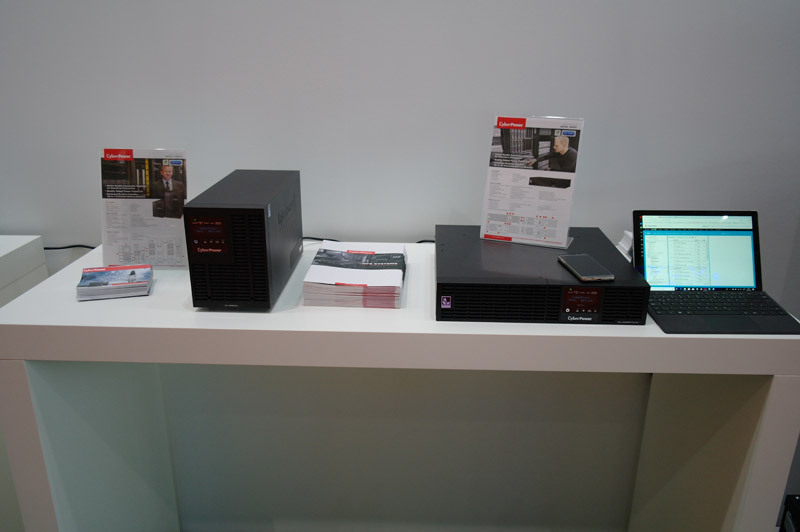 As always, enjoy browsing through the latest CeBIT hardware and trends. 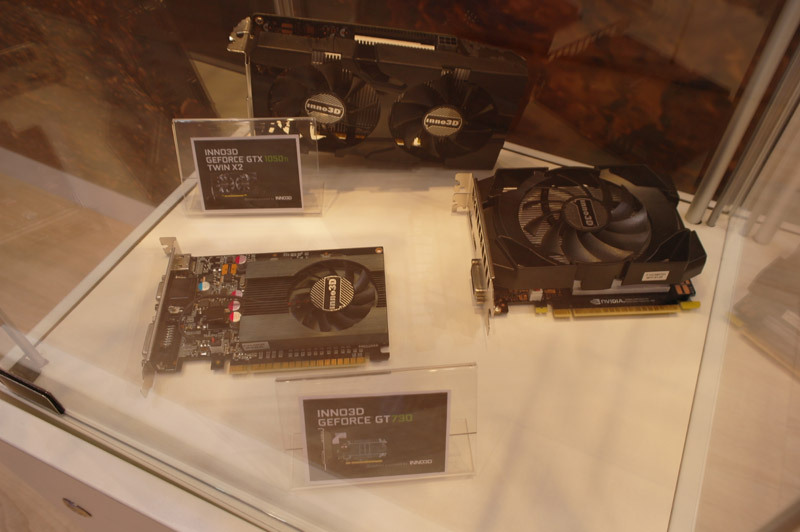 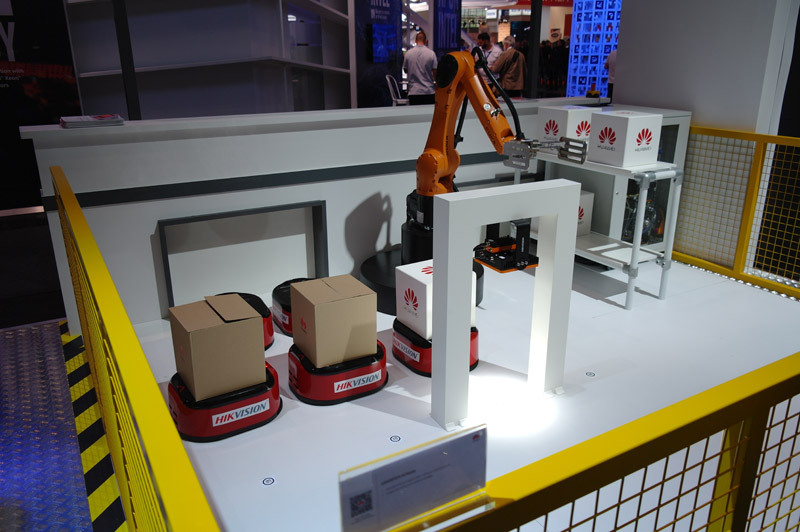 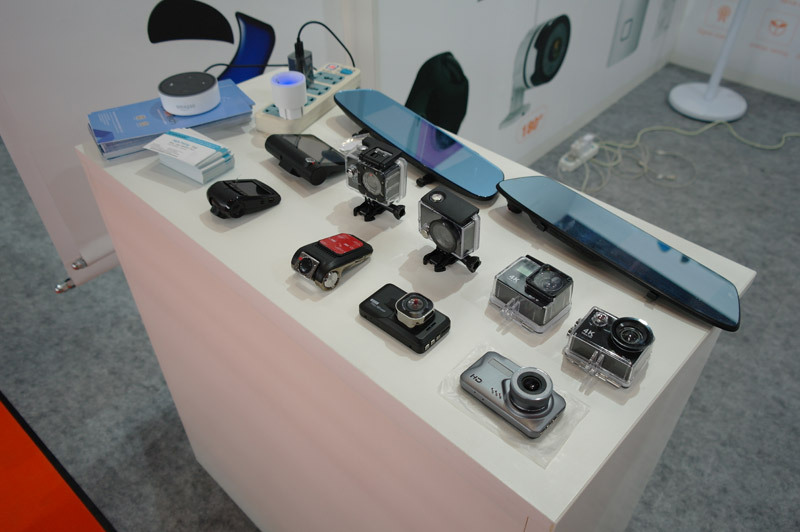 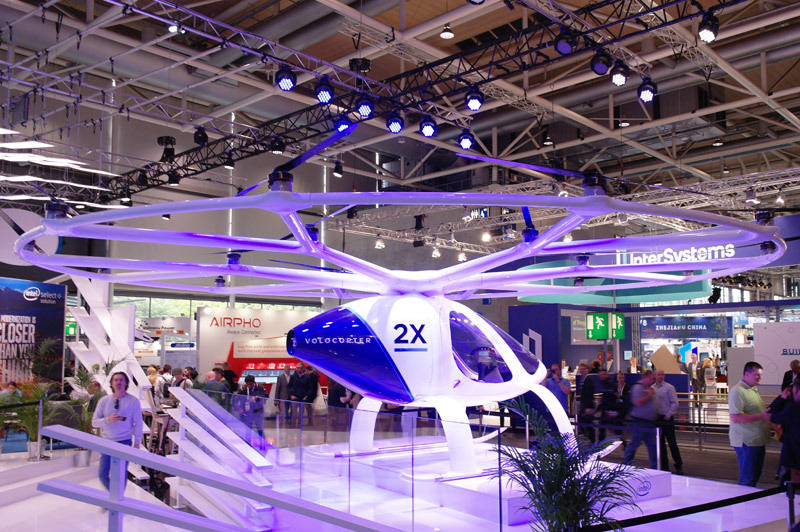 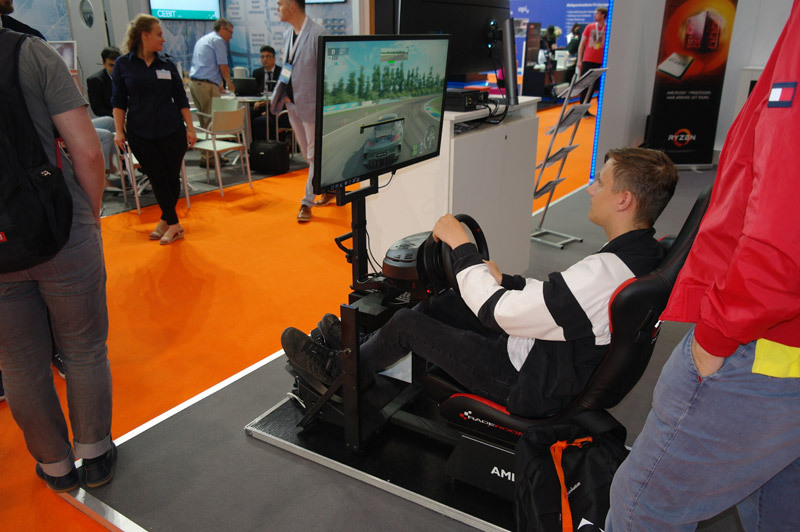 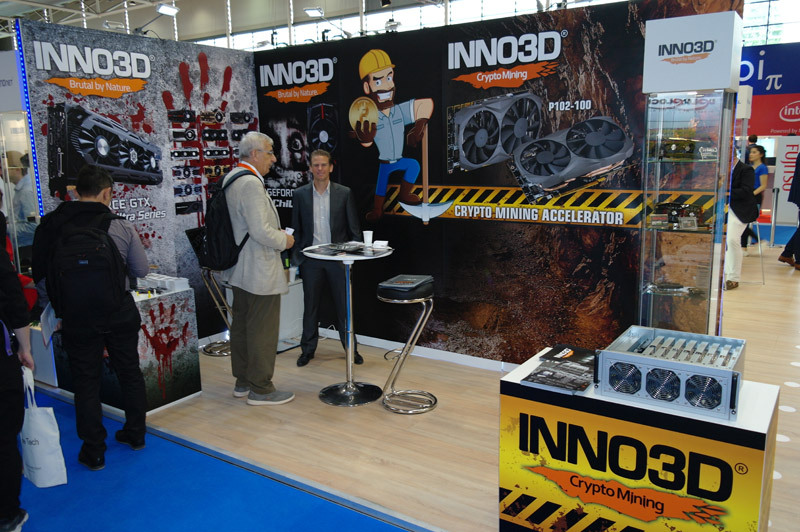 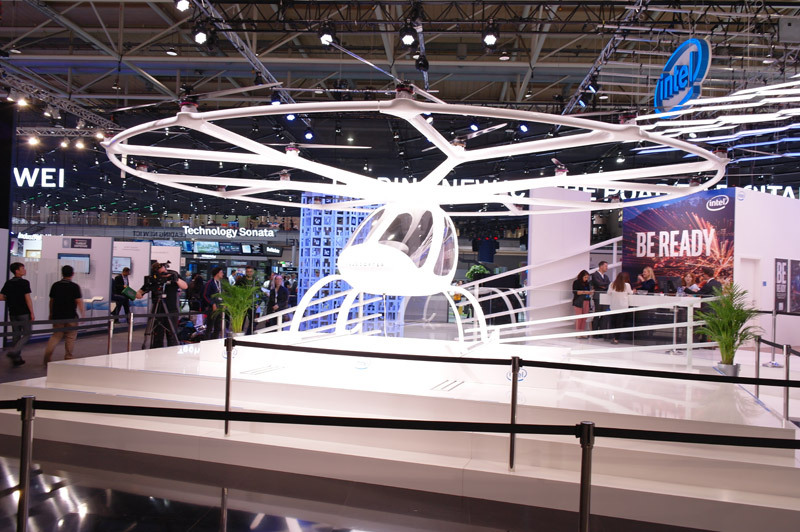 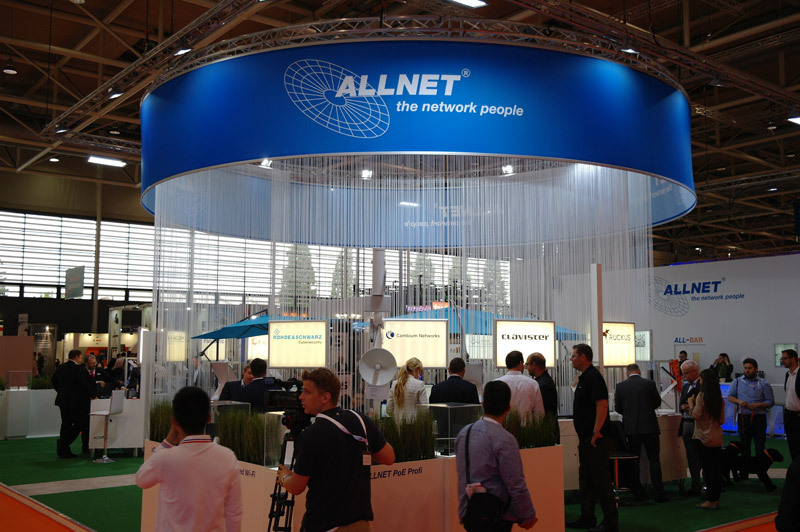 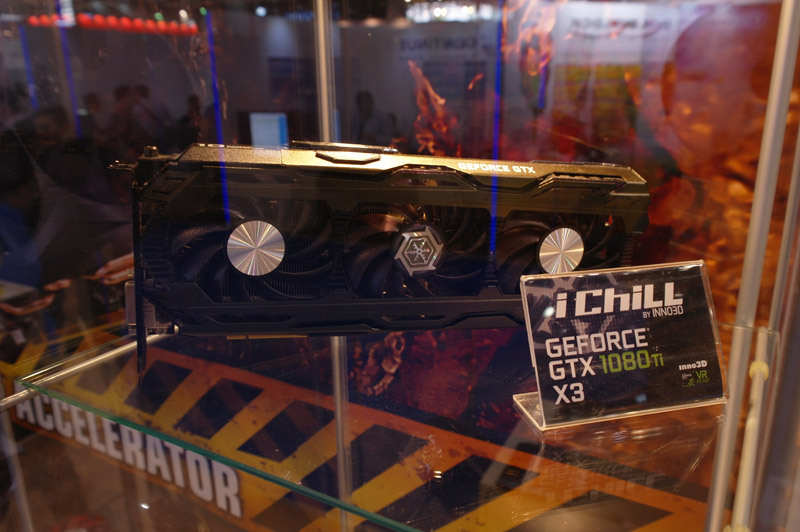 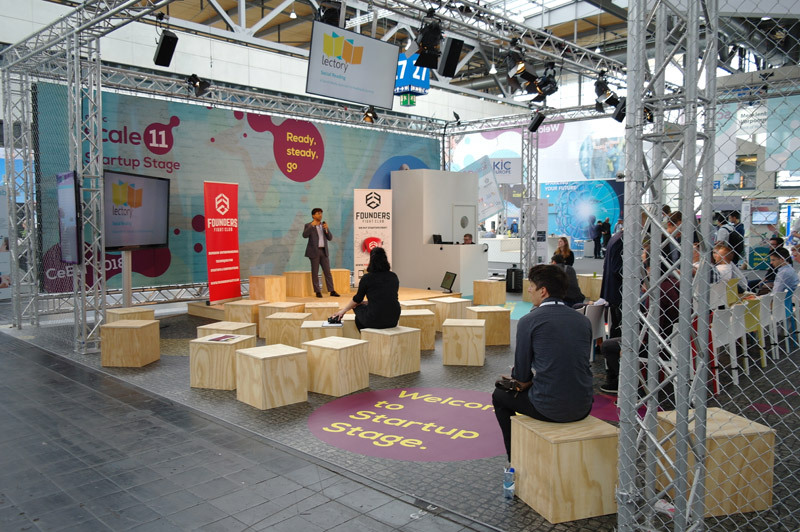 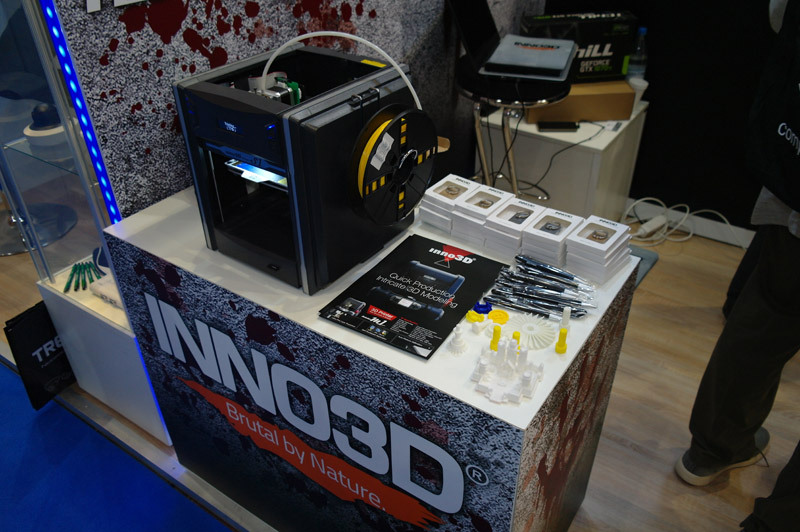 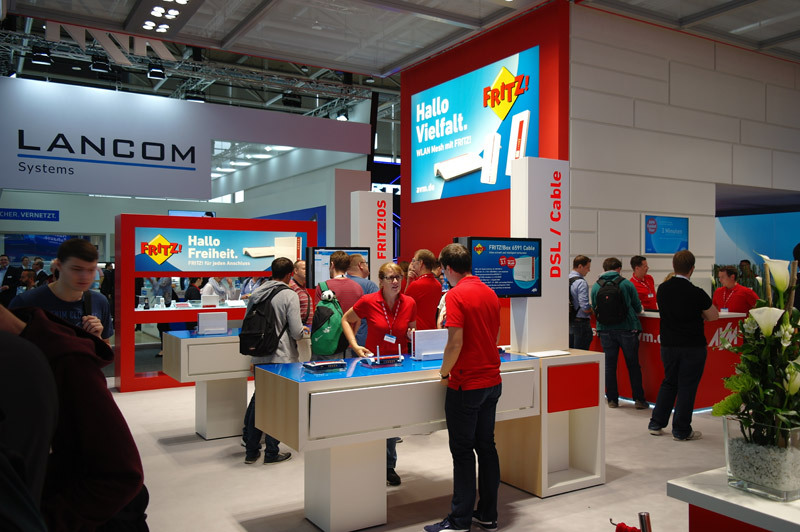 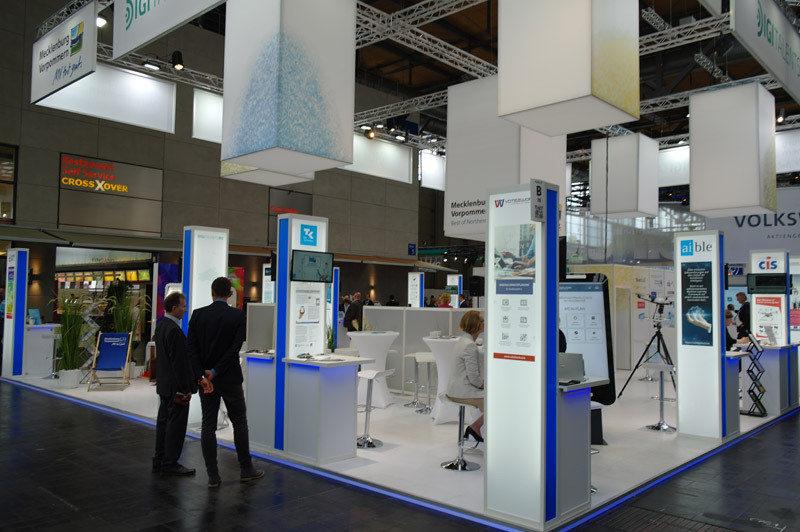 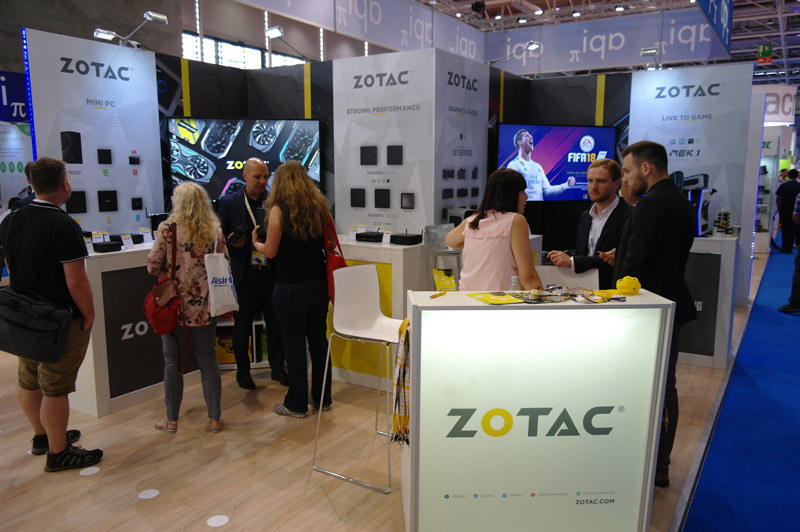 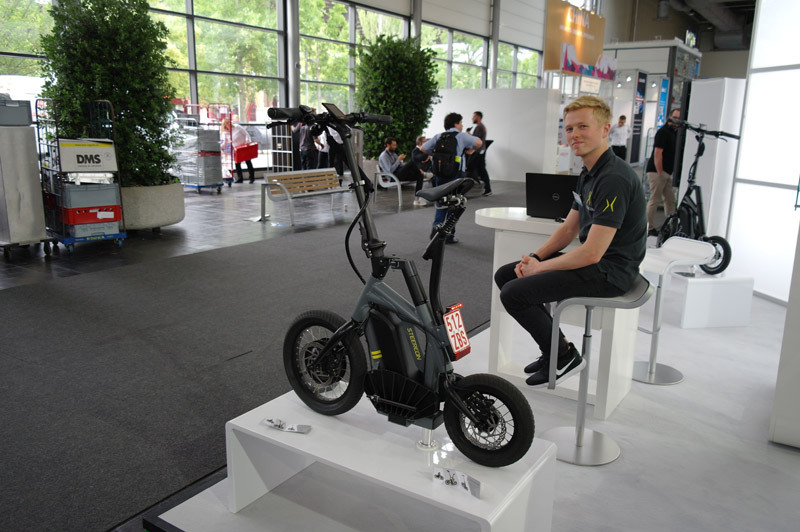 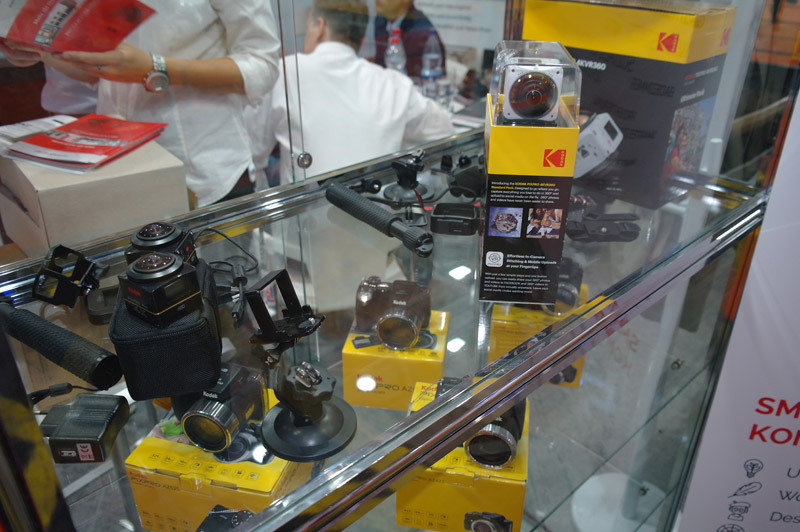 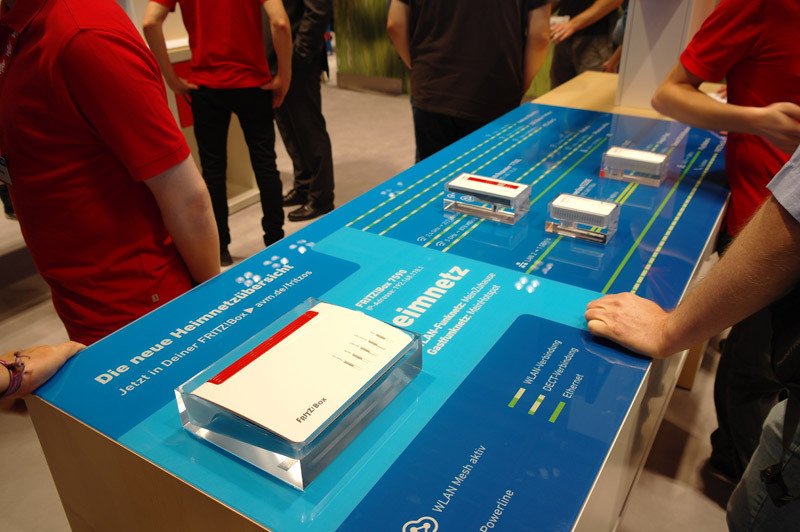 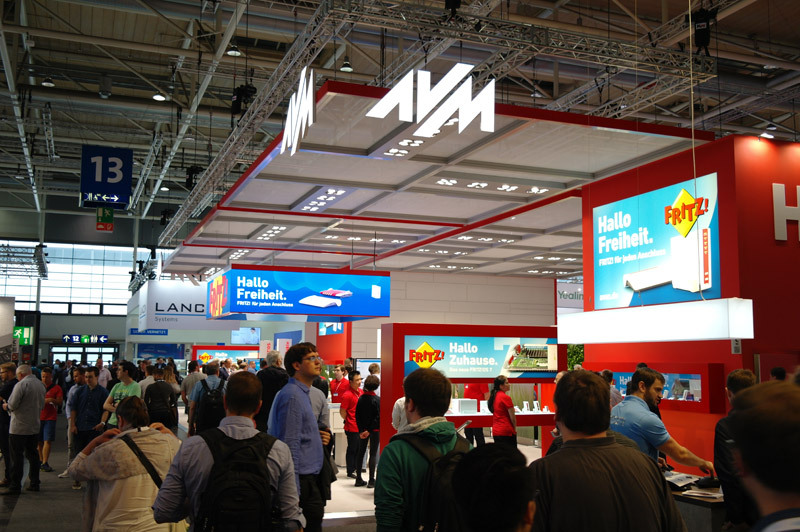 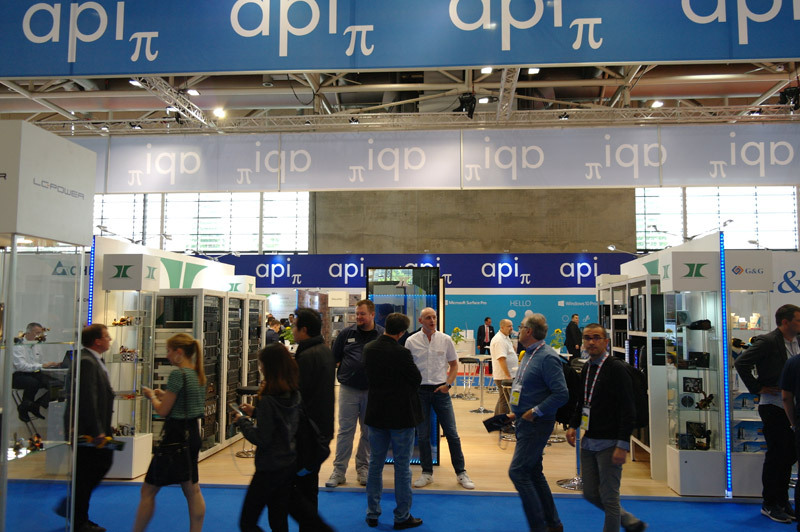 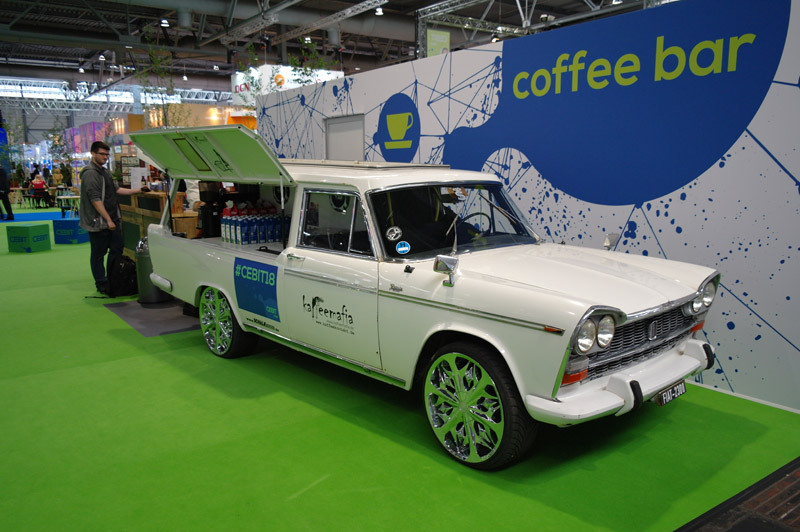 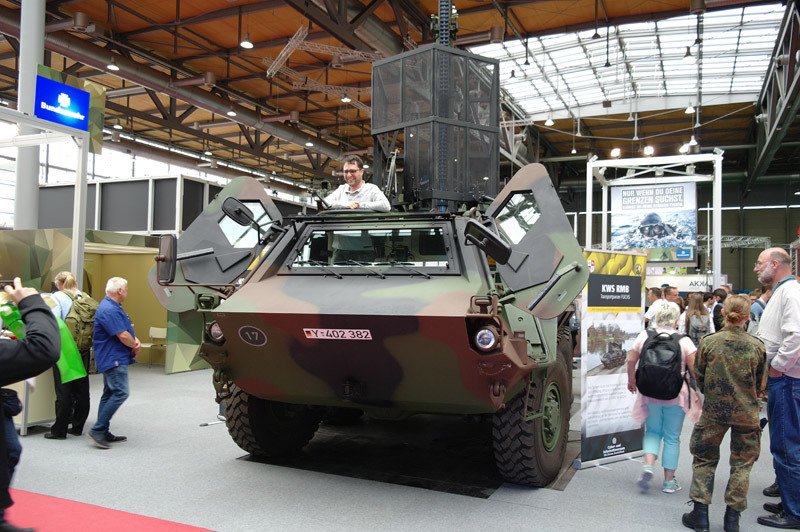 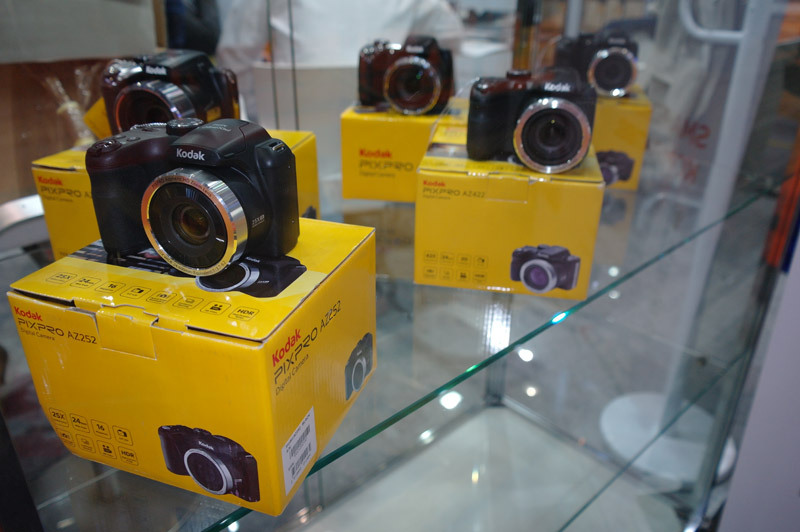 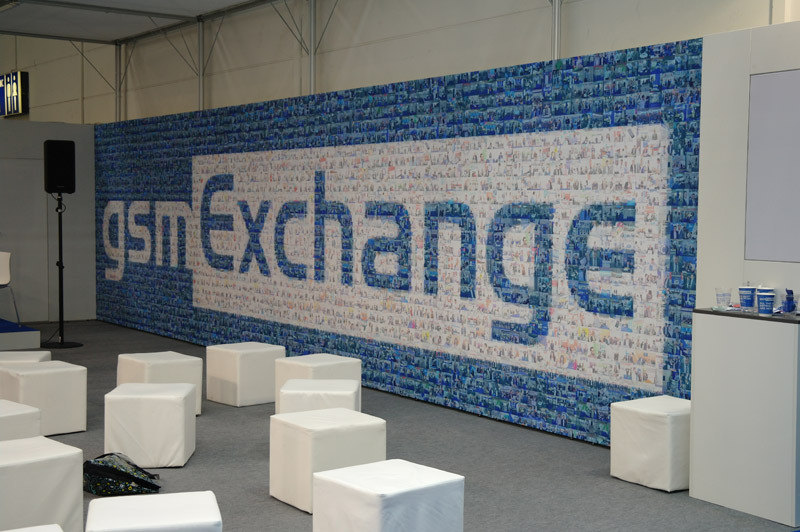 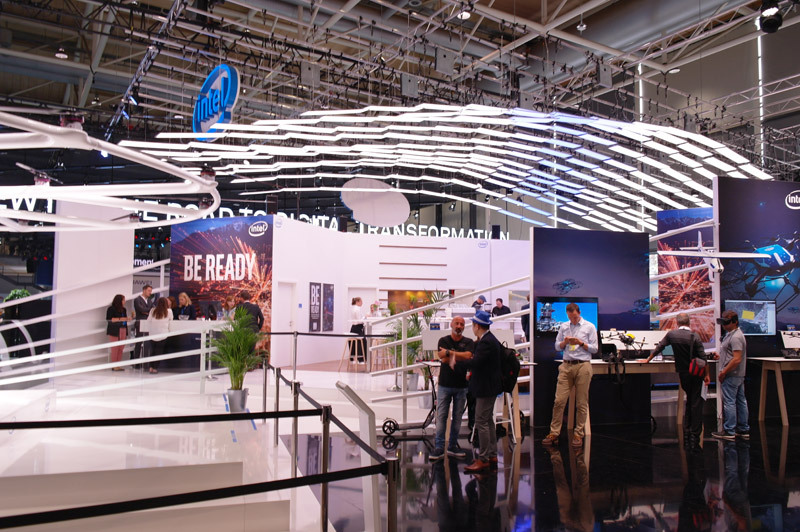 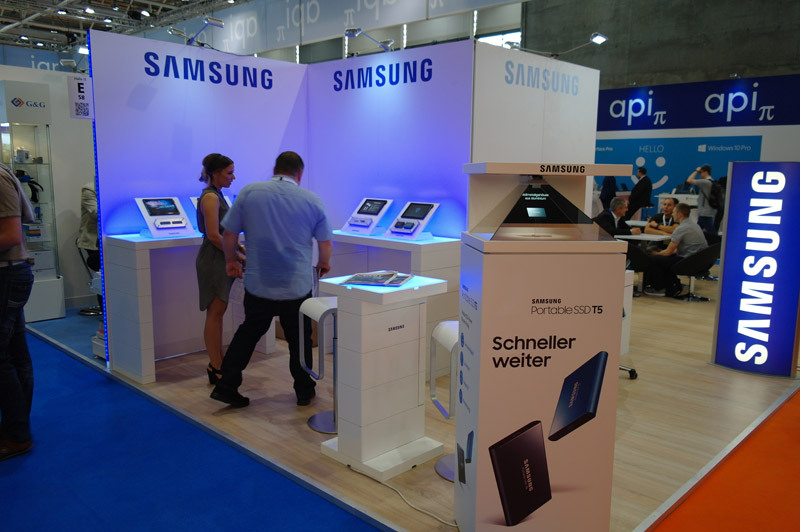 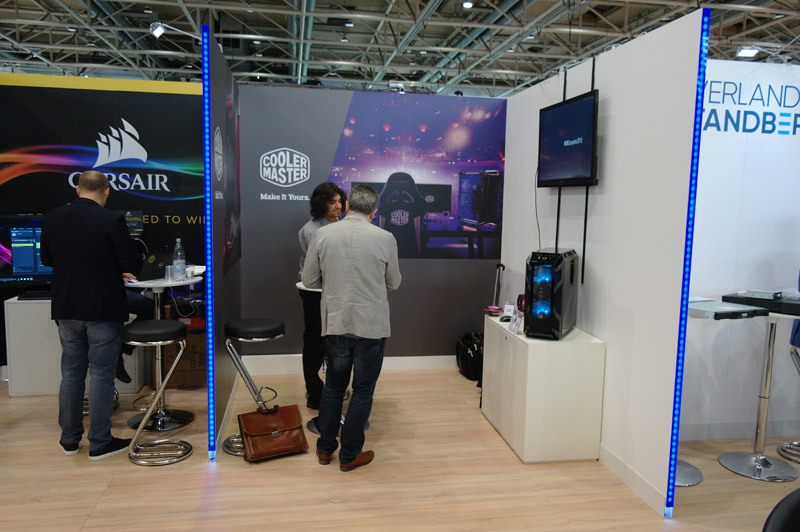 Again, we’ve decided to publish a CeBIT Gallery due to the numerous images. 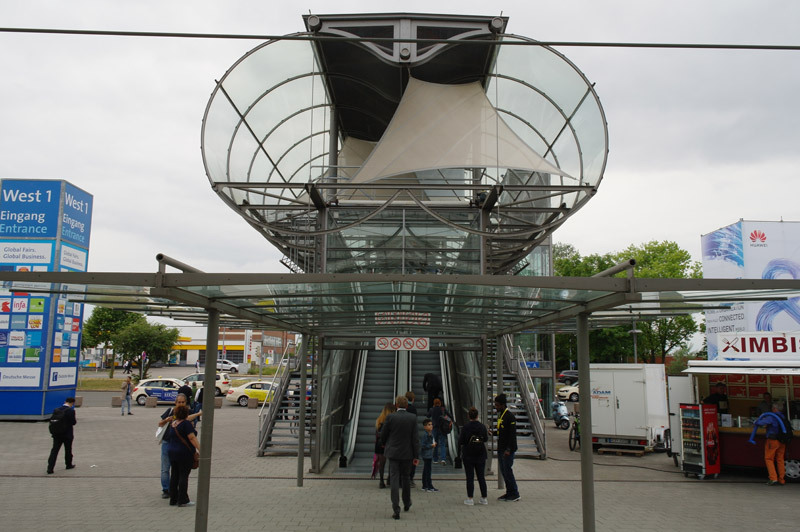 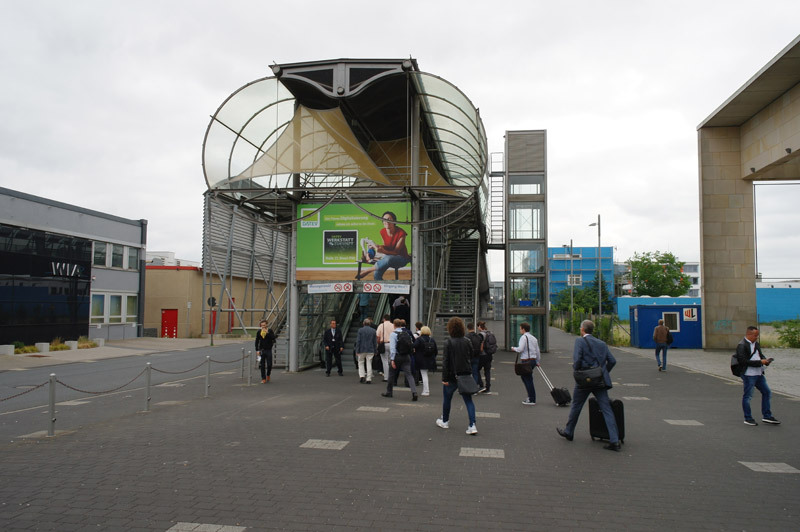 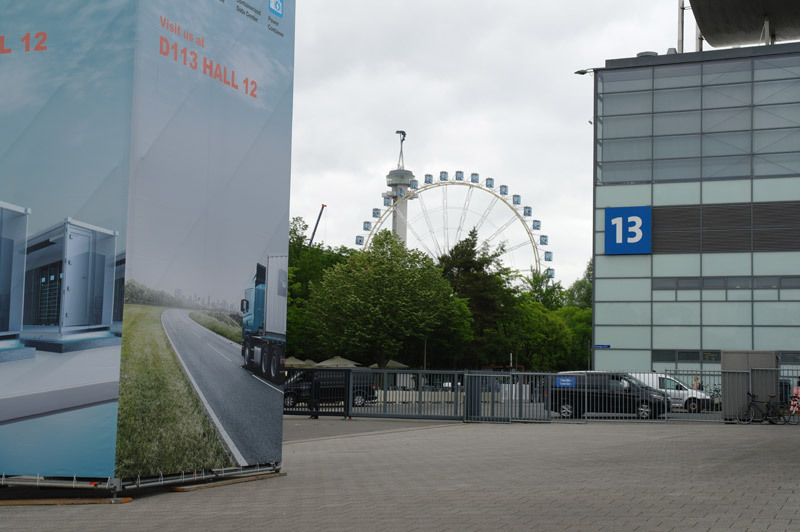 It starts with the current plan of the CeBIT trade fair halls in Hanover Laatzen and then begins at the West entrance and ends there as well. 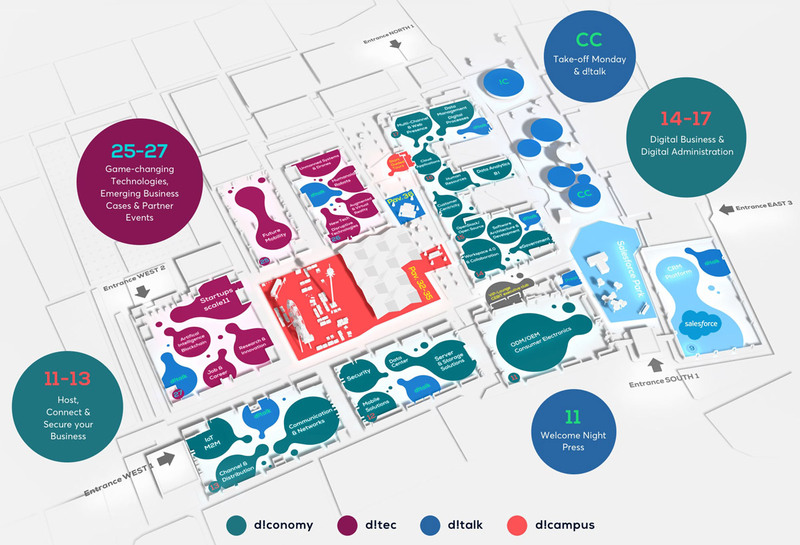 Click on the current plan to open the CeBIT 2018 Gallery. 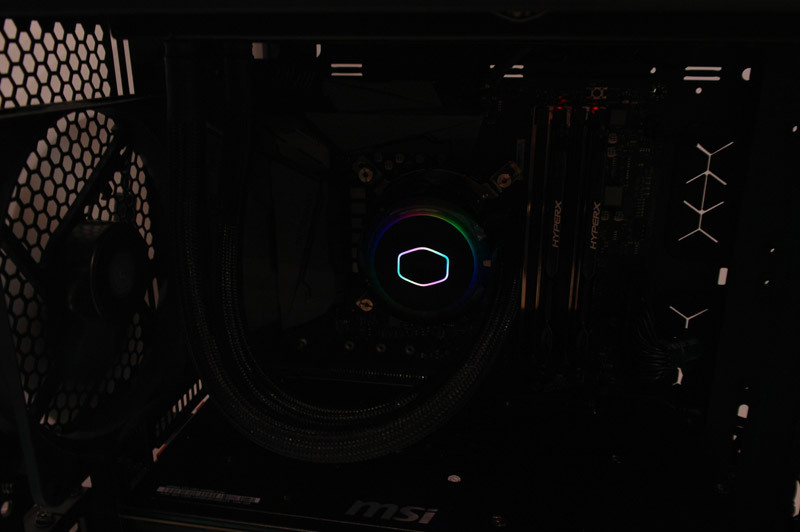 The cursor keys right/left and the arrows within the image takes you to the next or previous image. 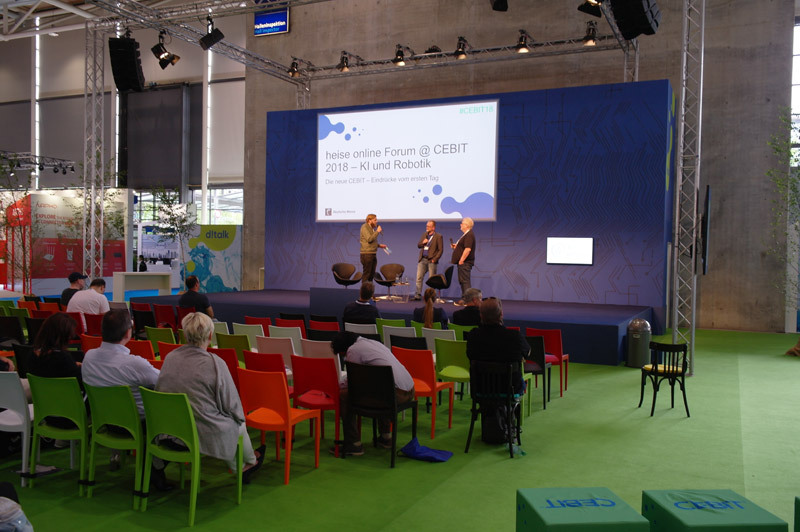 CeBIT start on 12th June 2018, 2, 3, 4, 5, First Impressions, 7, 8, 9, 10, 11, 12, 13, 14, 15, 16, 17, 18, 19, 20, 21, 22, 23, 24, 25, 26, 27, 28, 29, 30, 31, 32, 33, 34, 35, 36, 37, 38, 39, Vehicles, 41, 42, 43, 44, 45, 46, 47, 48, Drones, 50, 51, Roboter, 53, 54, 55, 56, 57, 58, 59, 60, Allnet, 62, 63, 64, 65, 66, 67, 68, AMD, 70, 71, Antec, 73, 74, 75, 76, 77, 78, Asus, AVM, 81, 82, 83, 84, 85, 86, 87, 88, 89, Bosma, 91, Cherry, 93, 94, 95, 96, Cooler Master, 98, 99, 100, 101, Crucial, 103, CyberPower, 105, 106, 107, Grandstream, 109, Heiman, Ideal Power, Intel, 113, 114, 115, 116, 117, 118, 119, 120, 121, 122, Inter-Tech, 124, 125, 126, 127, 128, 129, 130, 131, Inno3D, 133, 134, 135, 136, Kodak, 138, 139, LCPower, 141, Leicke, 143, 144, 145, 146, 147, Samsung, 149, 150, Starcam, 152, 153, Thermaltake, 155, 156, 157, 158, Toshiba, 160, 161, 162, 163, 164, 165, Tuya, 167, 168, 169, 170, 171, 172, Zotac, 174, 175, 176, After CeBIT, 178, A quick snack, Or have a meal in Hanover. 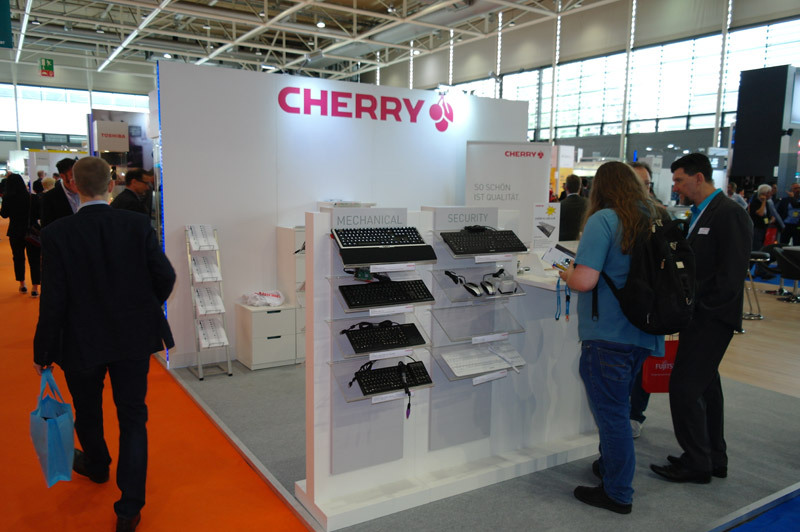 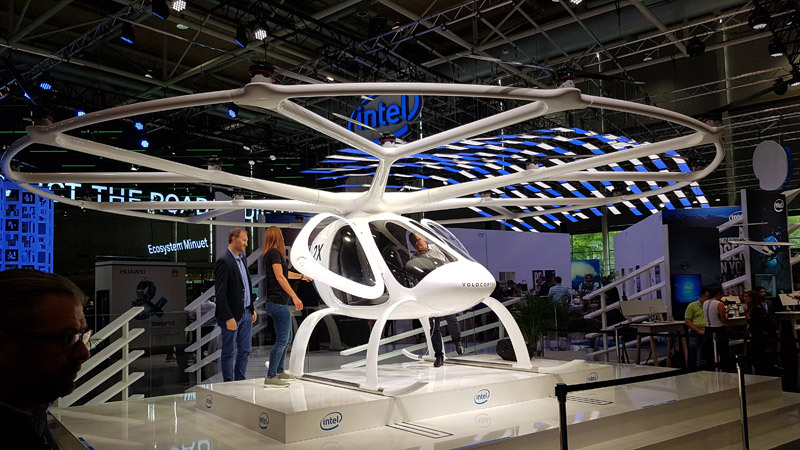 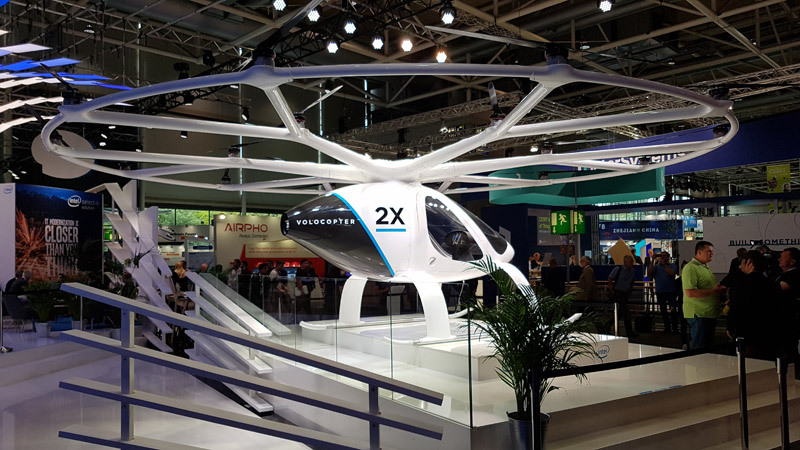 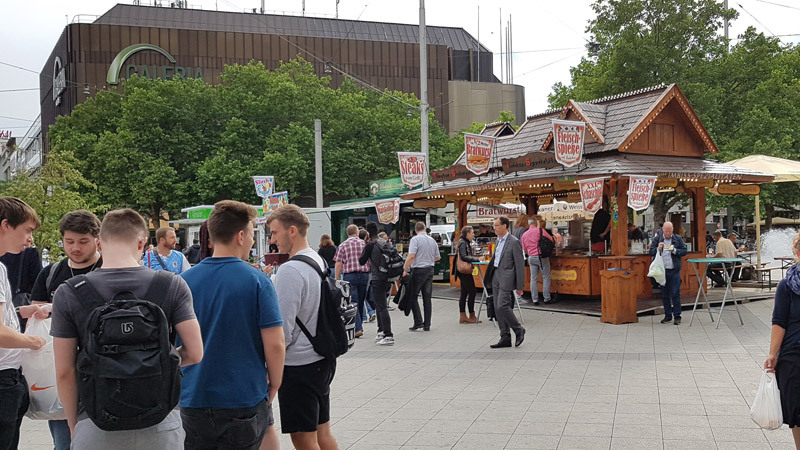 For those who want to browse through last reports: CeBIT 2017 report, CeBIT 2016 report, CeBIT 2015 report, the CeBIT 2014 report, the CeBIT 2013 report, the CeBIT 2012 report, the CeBIT 2011 report, the CeBIT 2010 report, the CeBIT 2009 report, the CeBIT 2008 report, the CeBIT 2007 report and the CeBIT 2006 report. 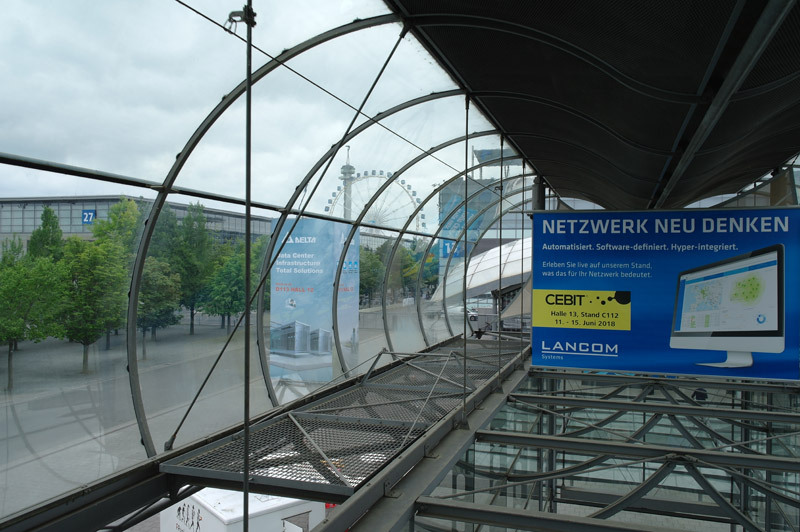 The worldwide known CeBIT has changed a lot in the last years and lost some attractiveness it once had to many computer enthusiasts and IT companies. 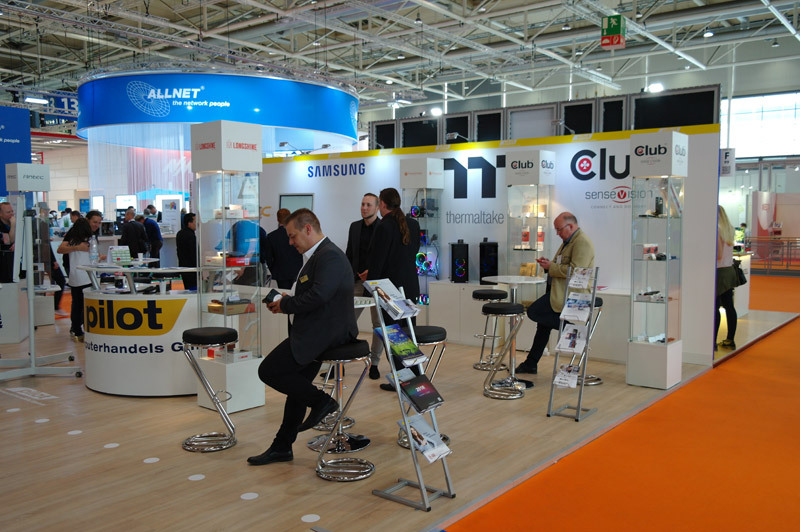 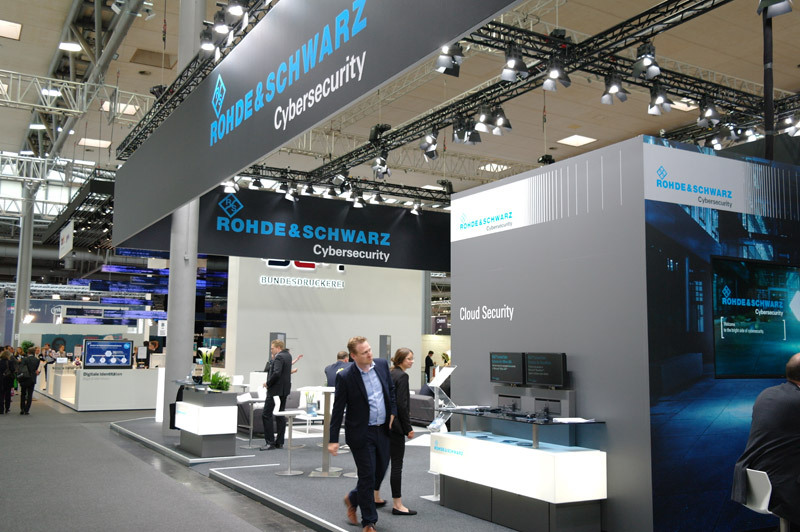 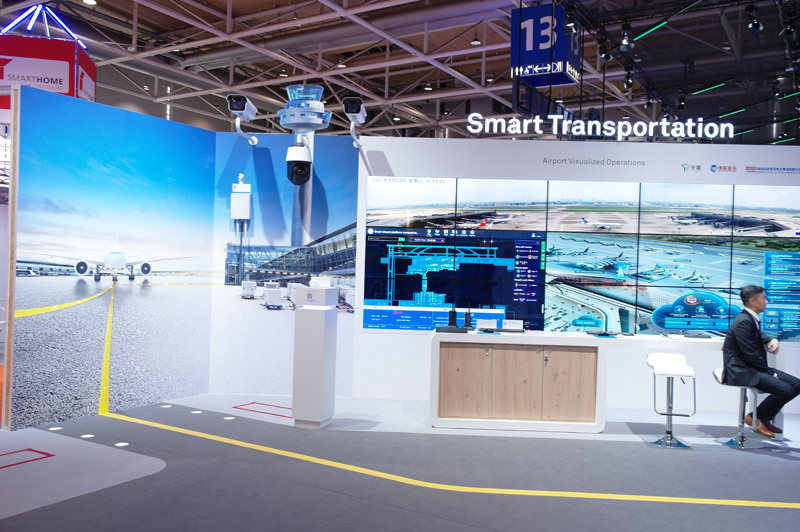 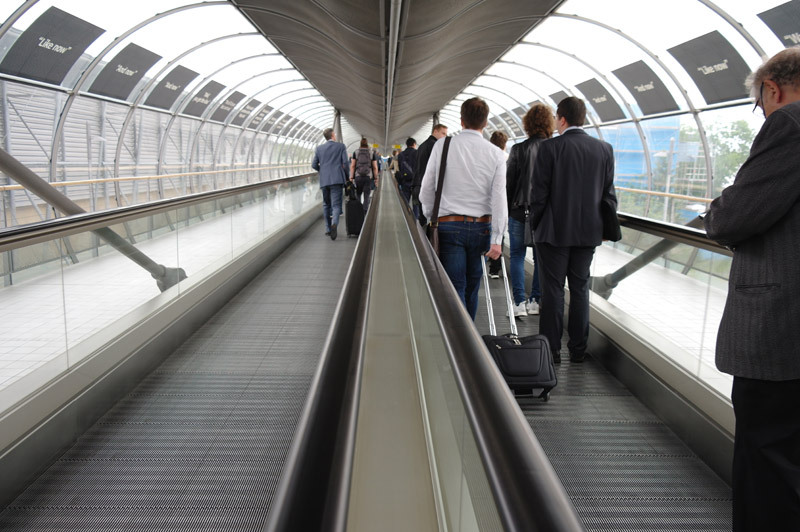 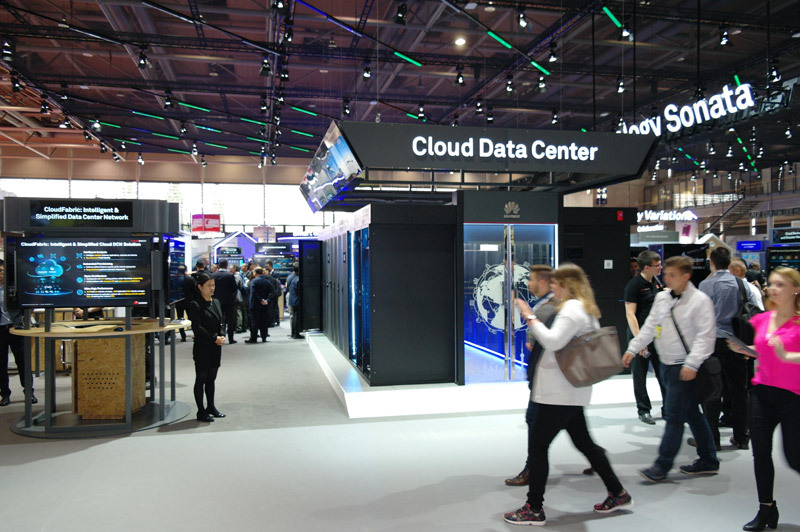 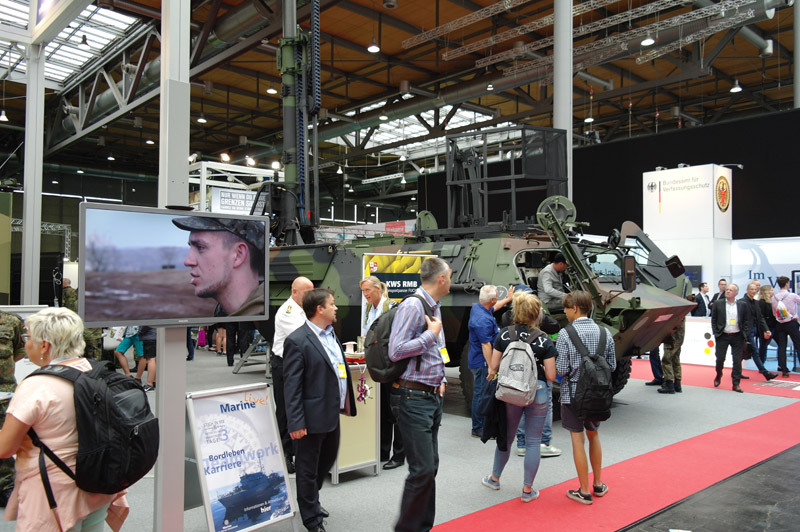 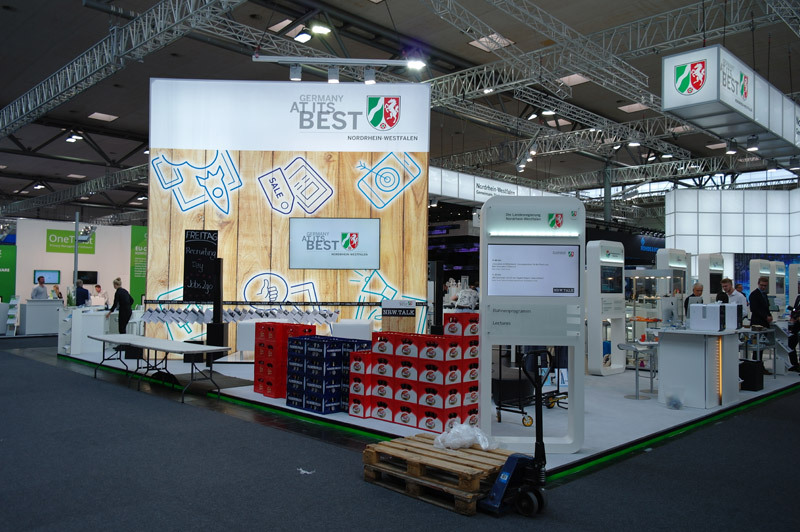 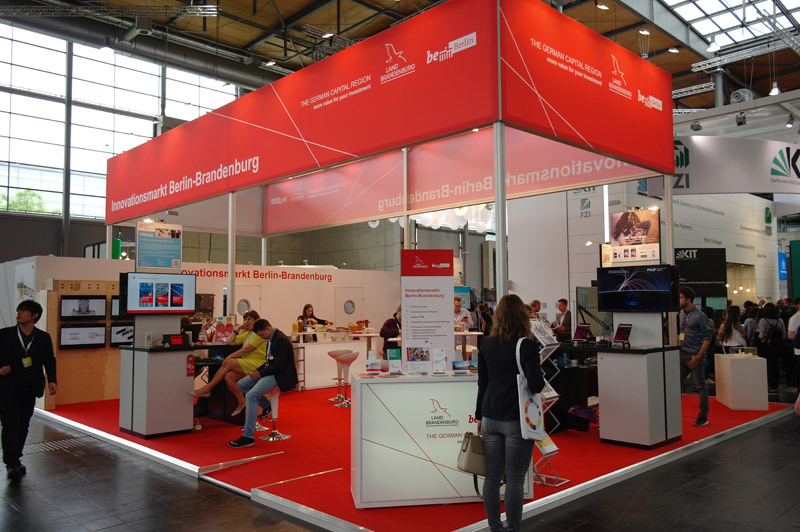 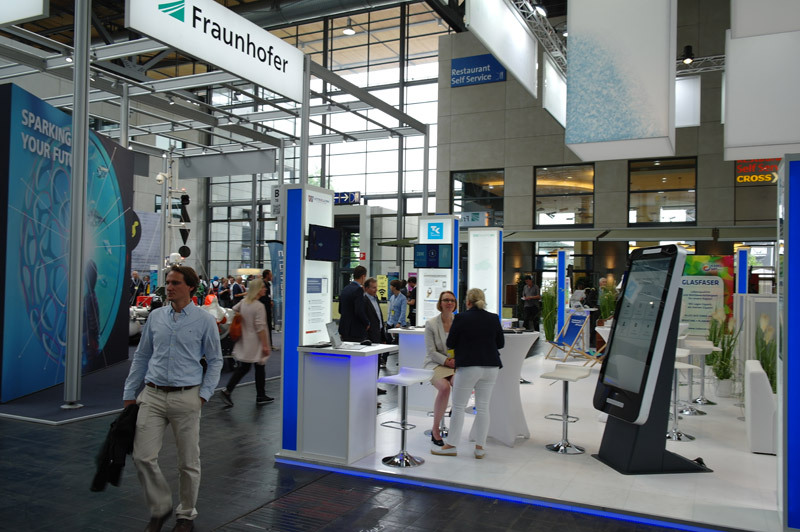 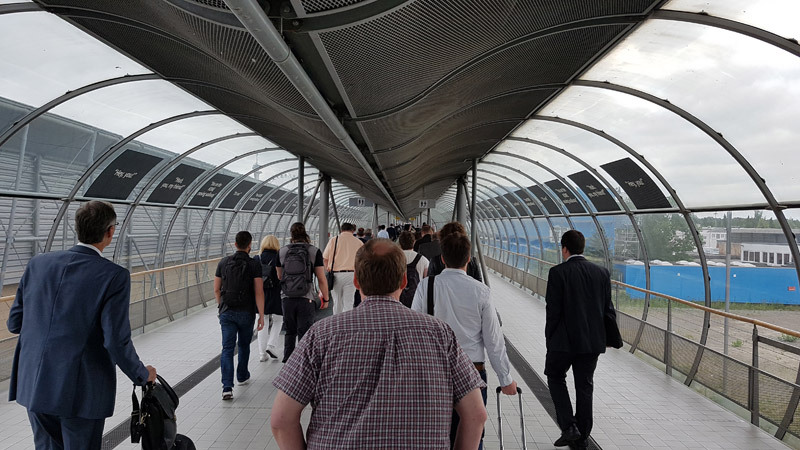 In recent years, we have appealed for a CeBIT trade fair that is once again becoming more attractive for trade visitors and end-users with more balanced IT areas and should not forget private visitors. 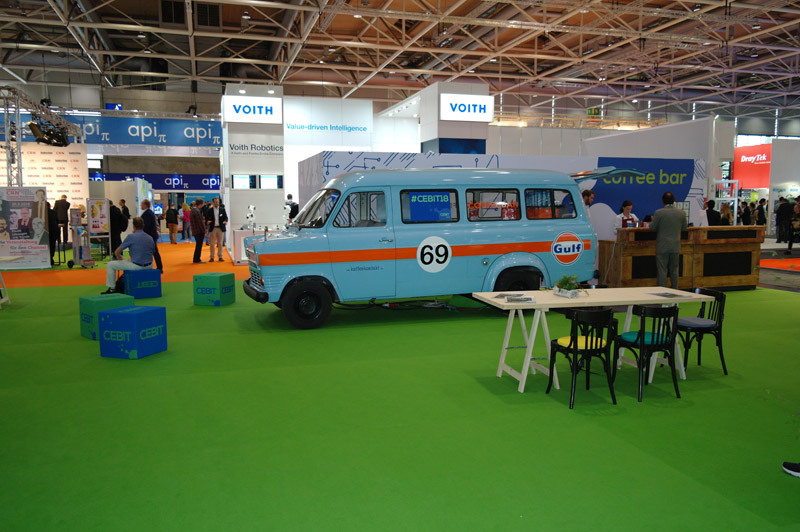 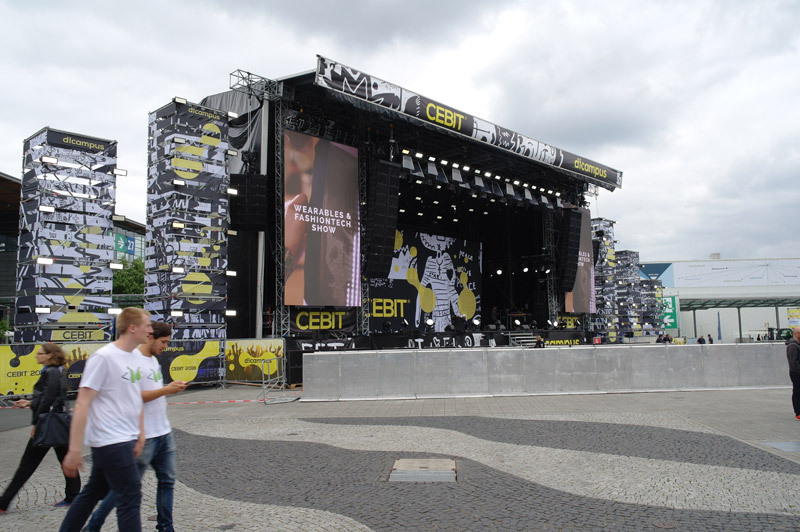 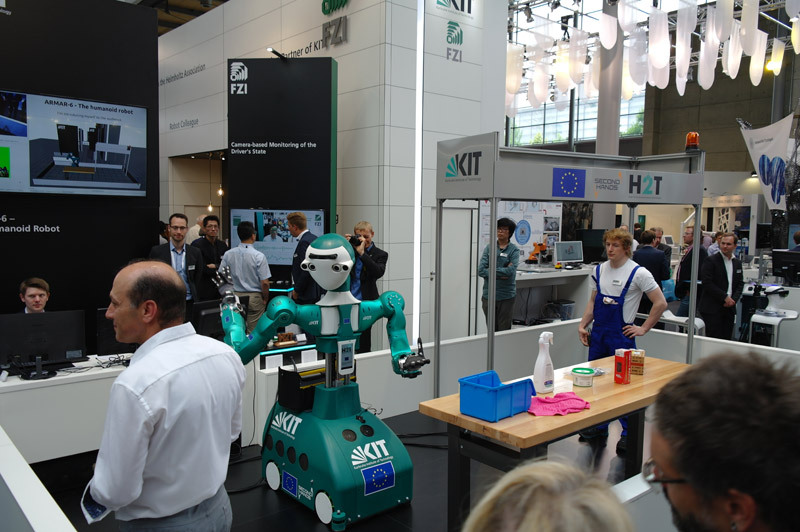 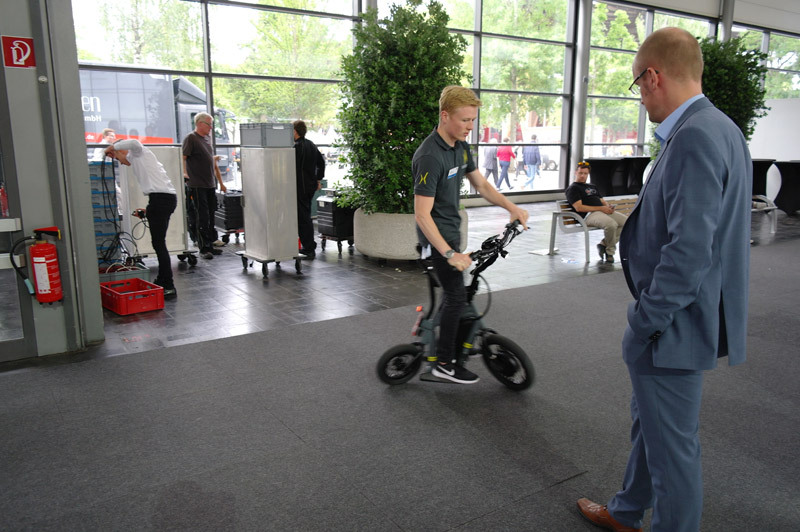 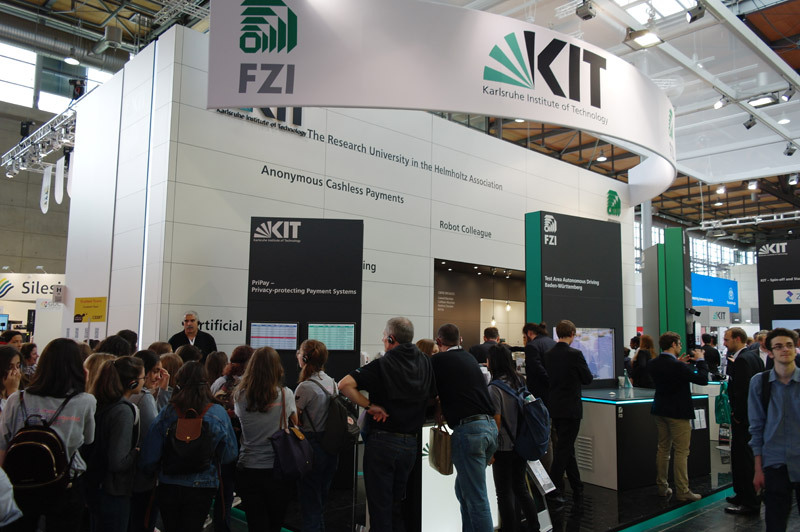 After all, this year’s “new CeBIT” took a step towards the younger visitors. 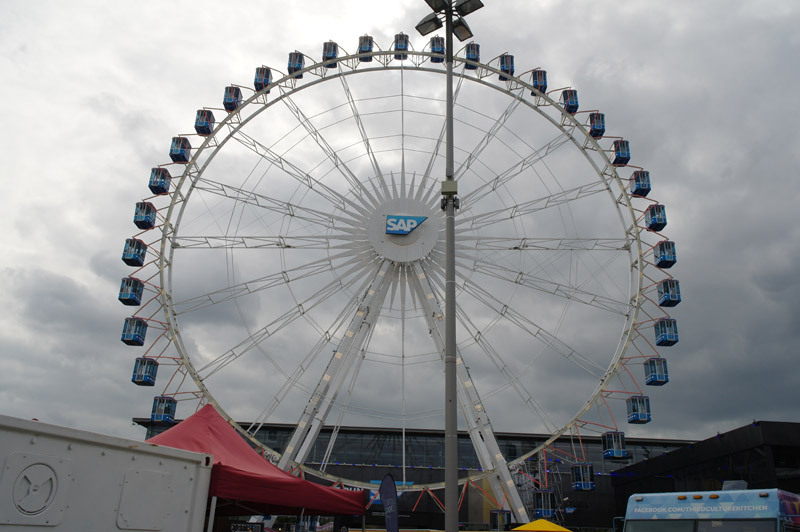 However, the Giant Ferris Wheel and its varied entertainment was countered by a hefty entrance fee. 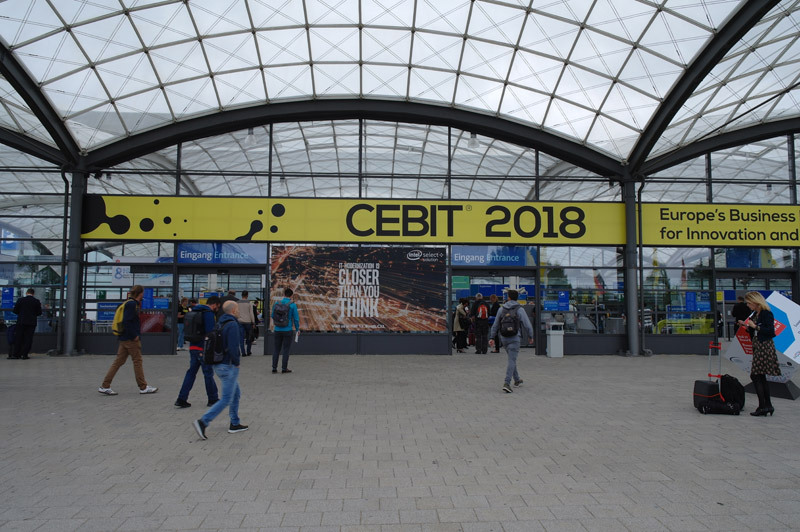 Also the CeBIT was again not opened on the weekend for the younger public and the working population and selecting CeBIT date one week after the Computex in Taipei still put the crown on the whole. 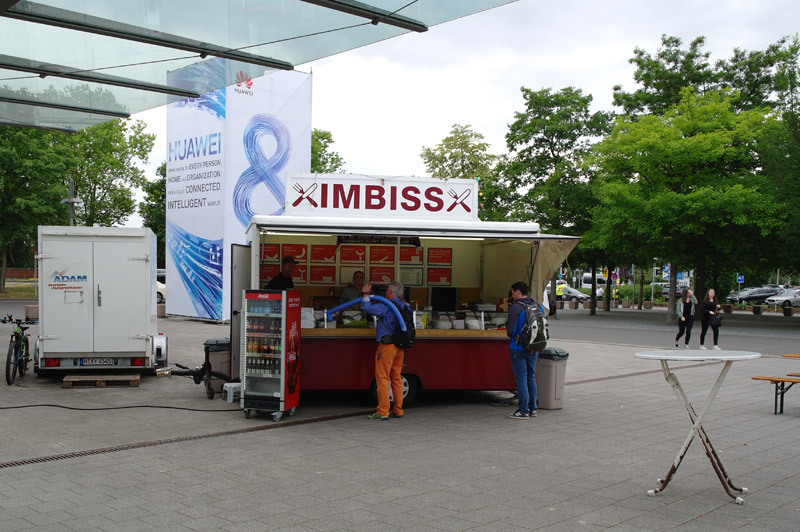 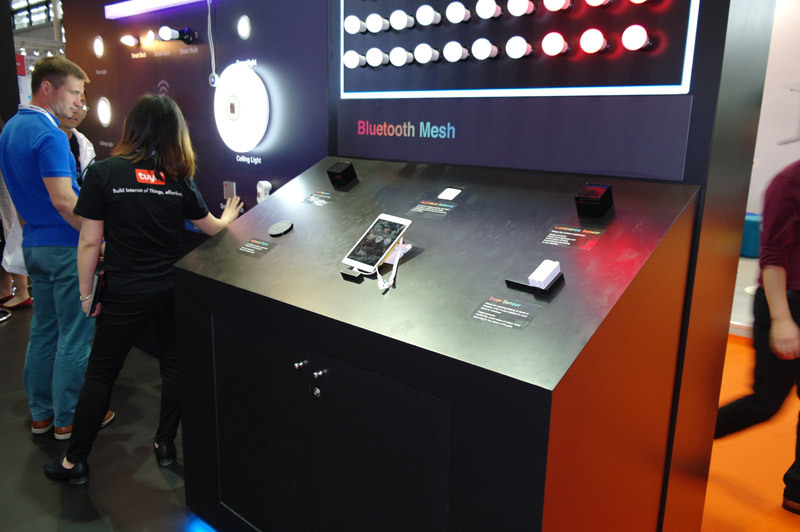 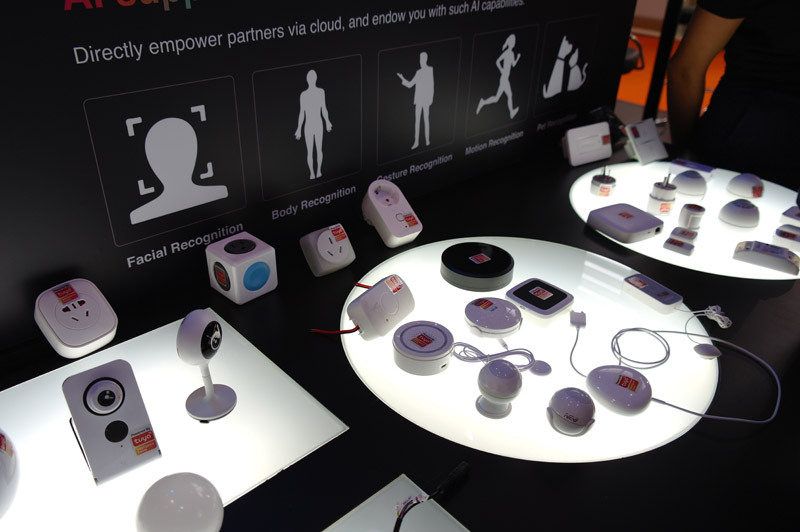 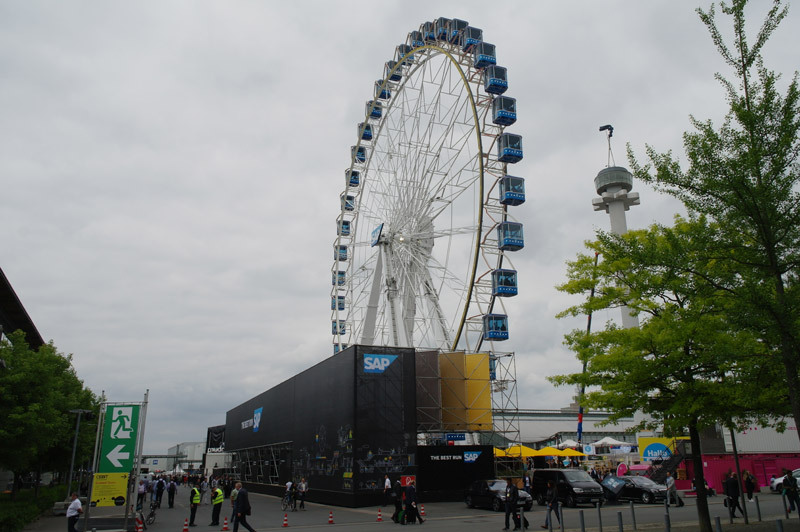 As a result, many visitors were excluded who will ultimately be missing from CeBIT. 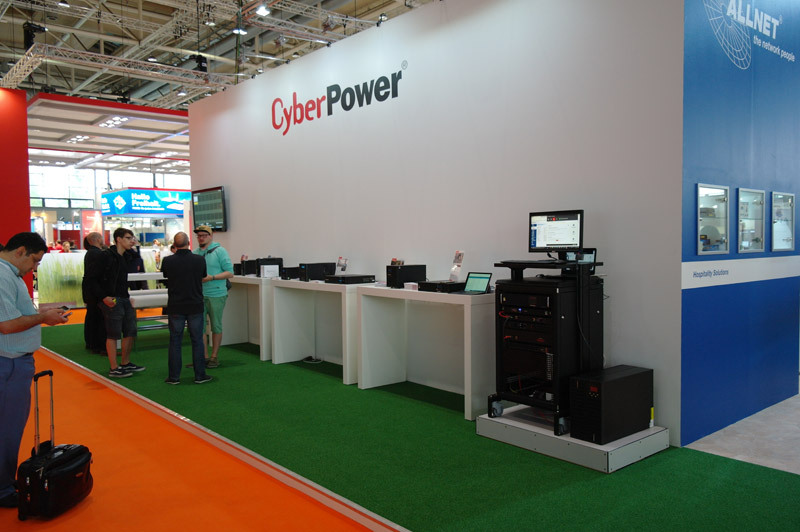 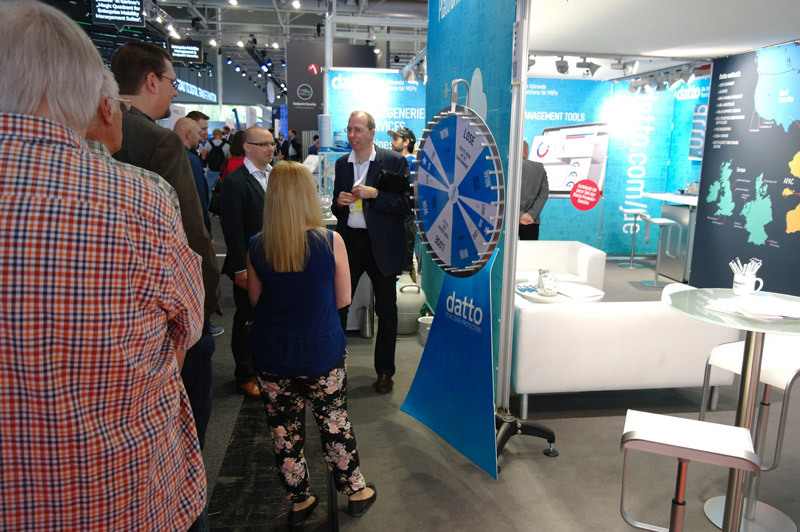 Nevertheless, we felt comfortable at the slimmer but agile CeBIT. 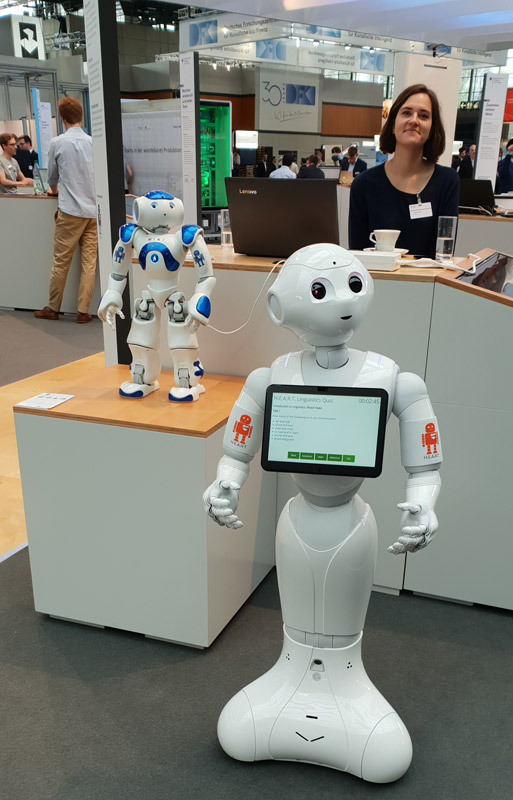 We hope that the CeBIT2018 report could give you at least a rough overview of the current CeBIT trends, even if it’s just a small selection of the huge computer trade fair. 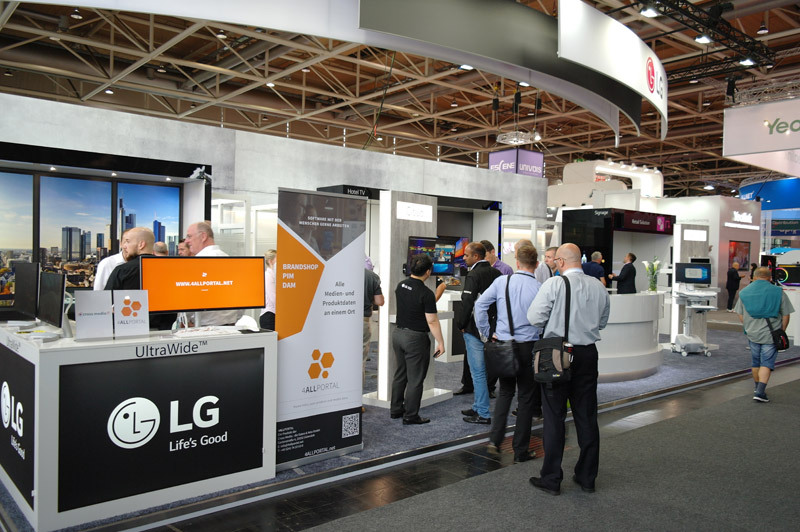 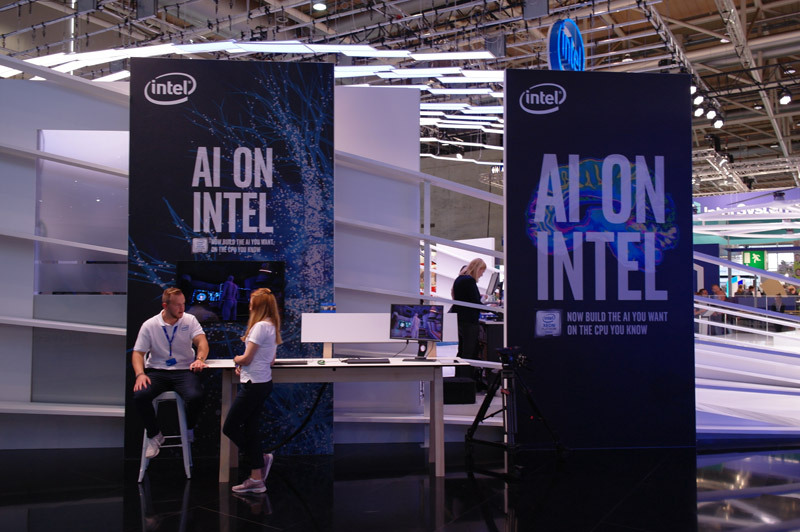 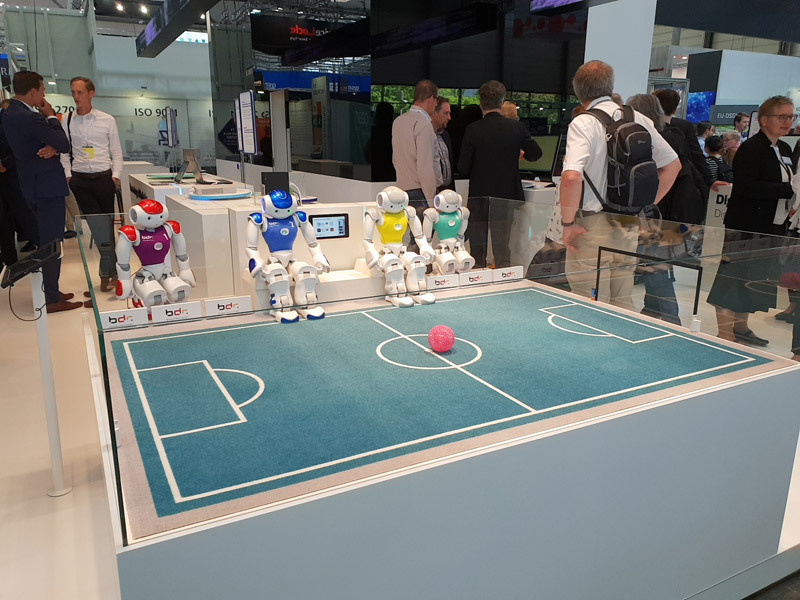 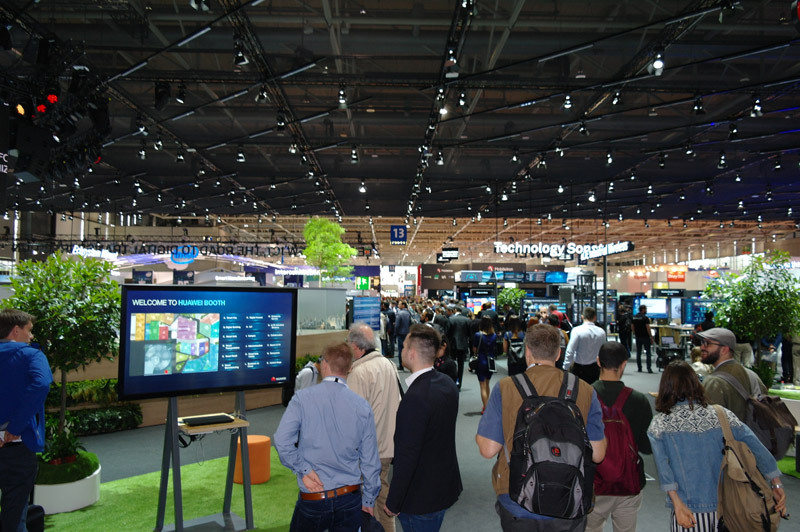 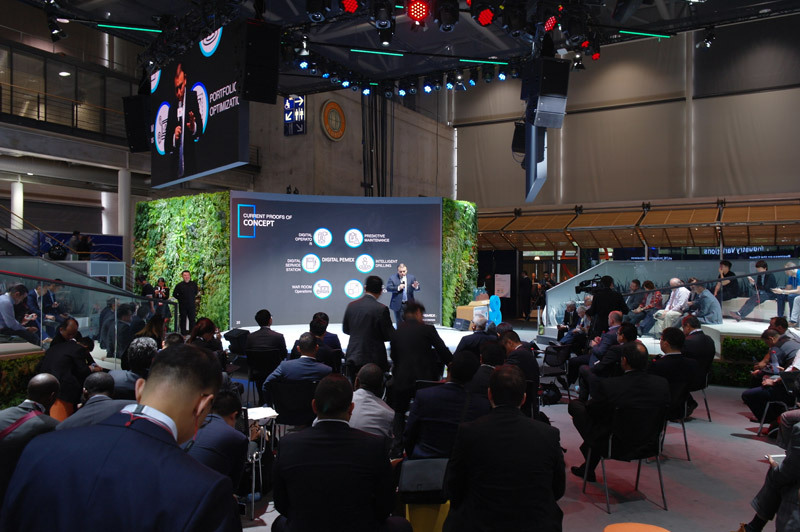 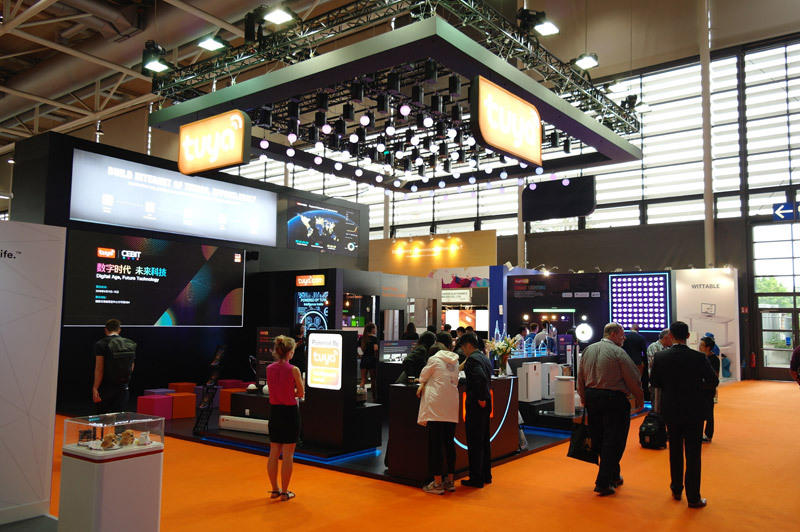 We are already looking forward to the upcoming CeBIT 2019, which will take place from 24 to 28 June 2019 and is therefore a month away from Computex (28 May to 1 June 2019).